HOLIDAY MARKET FOURTH WEEK NEWS! With all the choices of holiday markets in our area, we are very appreciative of your enthusiastic support of our market! We work hard at providing you the very best products and the best experience for your holiday shopping, and you have let us know that you are very happy with the results! If you have a few minutes, we’d love for you to LOVE us on social media and online reviews! We also want to remind our Members that current 2018 members can still take advantage of their 25% discount off books! No shipping, easy parking, and low sales tax! Move over, Amazon! We have restocked a number of your favorite products this week, including Amy Mundiger’s felted flower brooches, Khala Cloths’ pretty and practical beeswax wraps, embroidered tea towels from Leo’s Dry Goods, Kristina’s handmade native bee houses, molded beeswax candles by Amberlights, and hand-dipped, tapered beeswax candles by Niwot Honey. We also got in more Trementina traditional pinyon salves, more adorable pottery and embossed paper cards by Lois Edgar, delectables from Robin Chocolates and Smart Cookie Barkery, along with a number of toys and books for children! 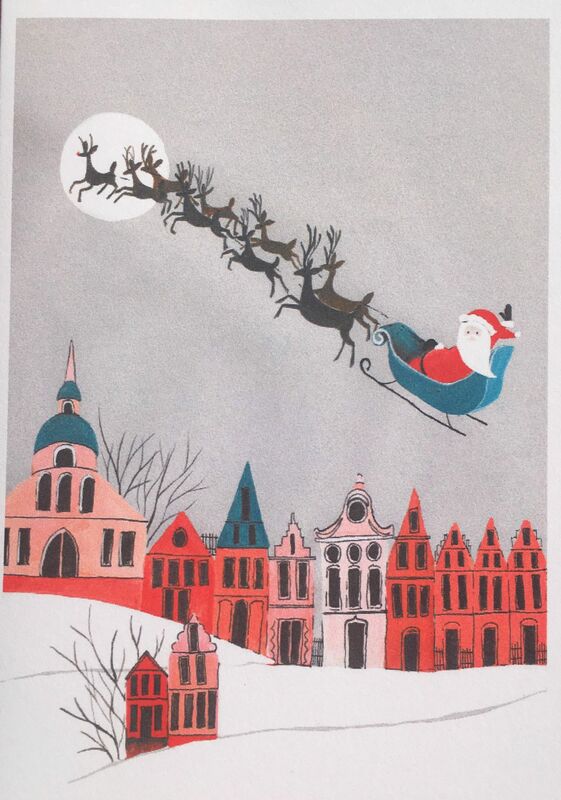 You can also view our full Holiday Market Catalog on our website. Finding the right gift for people with special interests without going to 20 different stores can be challenging. Let us help you fill that niche with our thoughtful, useful, and beautiful gifts! 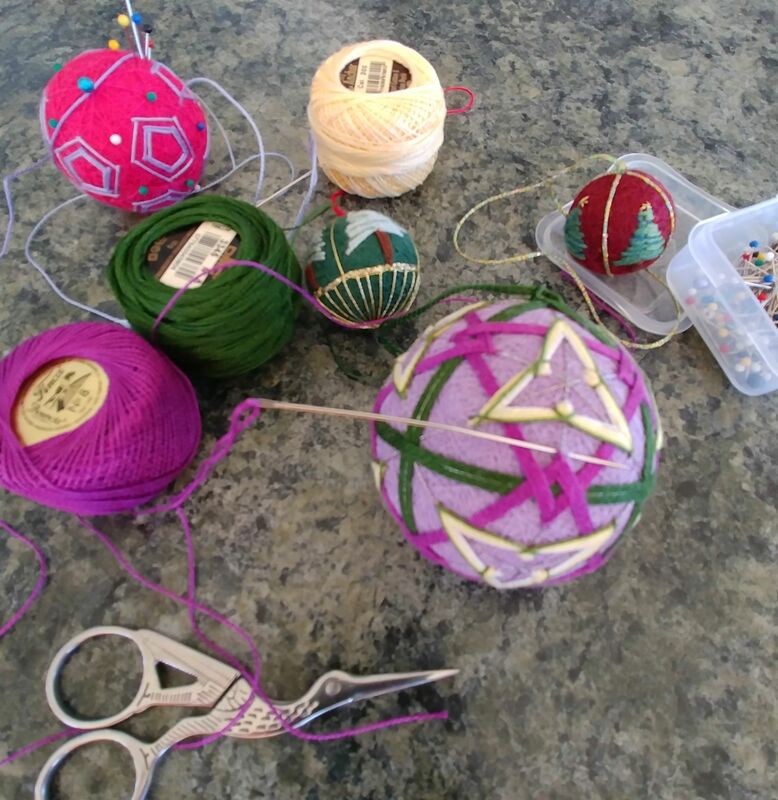 Jayne Bramley makes these beautiful and practical bags, both draw-string and zippered, that are essential for crafters working with balls of yarn. They keep your yarn feeding freely without rolling around on the floor, and keep crochet hooks, shorter knitting needles, scissors, measuring tape, and other essentials close at hand. 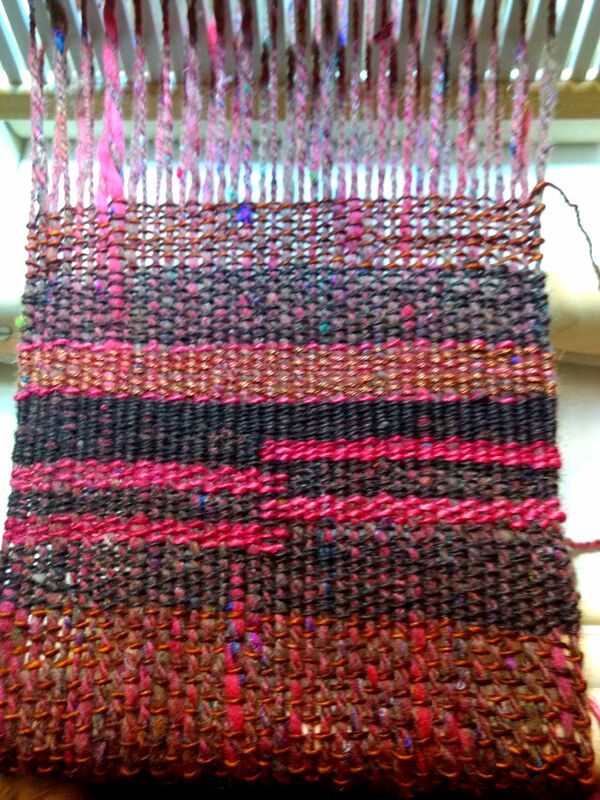 Eve loves using hers when warping her rigid-heddle loom and winding yarn onto shuttles. Each bag is handmade in Longmont, in a variety of fun fabrics. Jayne grew up in England but uses the ever-changing Colorado landscapes as inspiration for her colorful designs. She combines different fabric textures and colors to create unique bags. Her project bags will inspire you to start crafting! Jayne named her business after her paternal Grandfather, who was an avid rosarian, and Jayne’s mother, who instilled in her a love for textiles and whose nickname is Jenny Wren. This very small, extremely high quality 12x power magnifier is great for getting a closer look at what’s bugging your plants, taking out splinters, or helping to identify flowers, insects and details of all kinds. 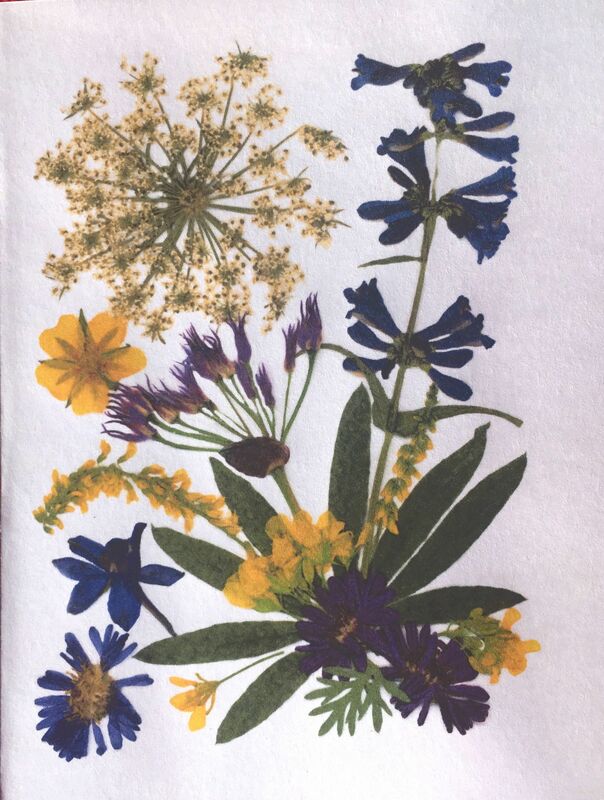 Authored by 11 staff experts, Denver Botanic Gardens’ new publication – “Wildflowers of the Rocky Mountain Region” – is now available! This Timber Press field guide is designed to be an easy-to-use portable photographic reference in the field. It also includes range maps for each individual plant entry for easy identification. 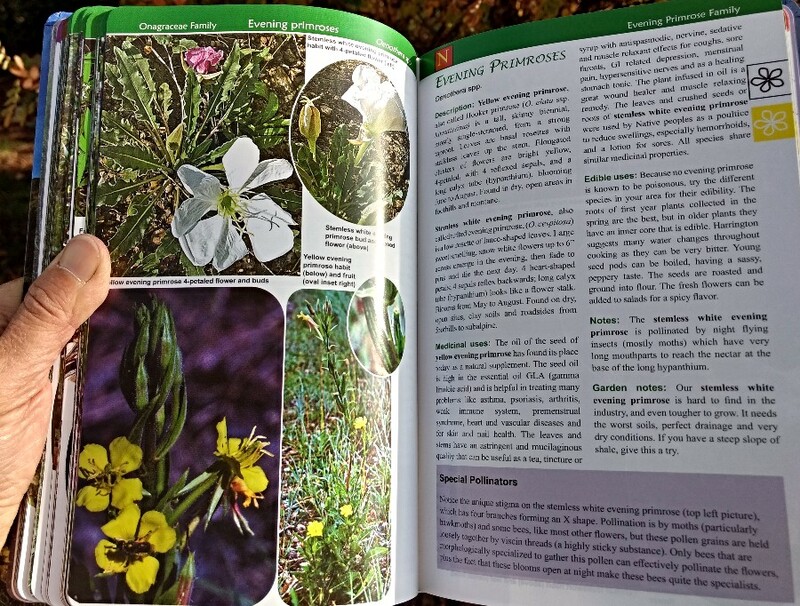 This book provides plant identification details for 1,200 species of wildflowers (including some shrubs) throughout the Rocky Mountain region of the United States and Canada. 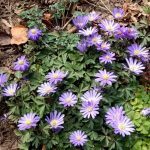 Through a simple key system based on flower color, petal arrangement and leaf type, users will be able to identify both common and rare species in the landscape. The guide is broken down into three subregions – the Northern Rockies, the Central or Middle Rockies and the Southern Rockies – and divides plant communities by elevational zones: steppe, foothills, montane, subalpine and alpine. 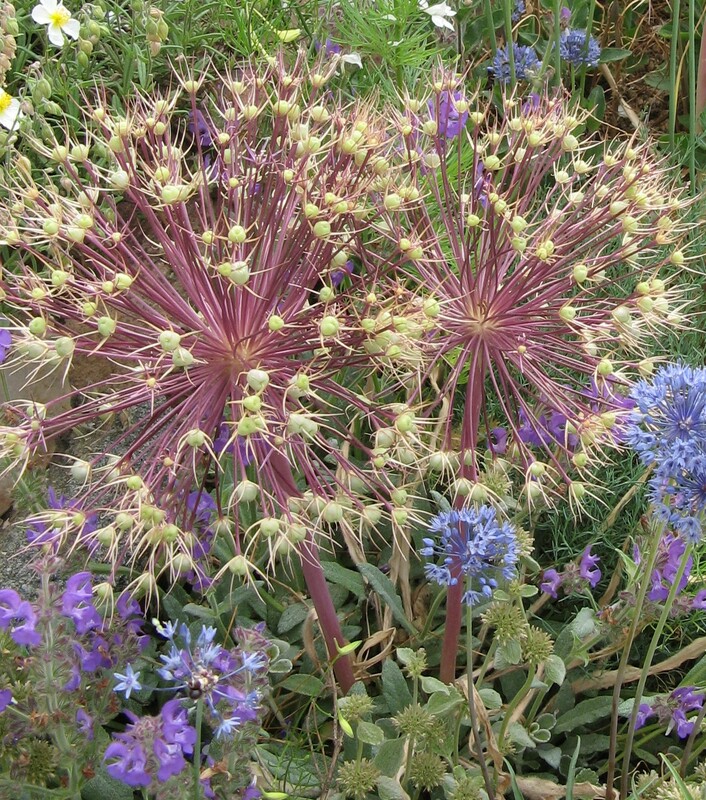 Plants chosen for inclusion represent the full spectrum of the region’s natural communities, both those that are common and those that are unusual or rare. While the focus of this book is the identification of plants native to the region, some naturalized non-native flora found in natural habitats are also covered. 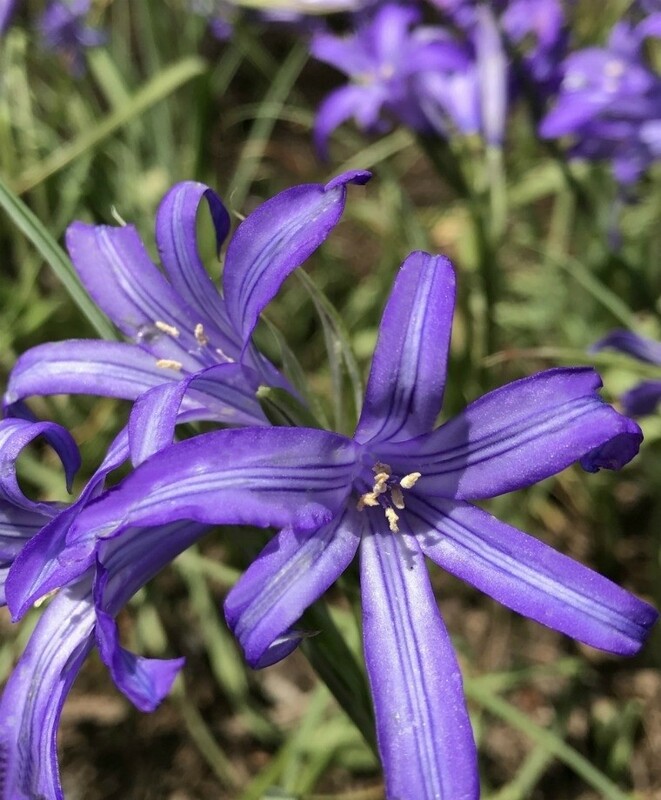 To the millions of people who visit the Rocky Mountain region each and every year, Meet the Natives has long aided in the identification of the diverse and appealing plant life found in its many ecosystems. In order to meet the great demand for an up to-date and comprehensive book, this classic guide has been revised and updated. This edition is the first to feature full color photography. Over 400 plants are identified. Fred Hall Petrified Wood – Harlequin’s Exclusive! Our friend Fred is a dedicated ‘rock hound’, with a special passion for meteorites and petrified wood. His expeditions in Utah have yielded some wonderful specimens from the Jurassic era, including segments of small branches in which the exterior bark texture has been preserved, and the interiors have been replaced with vividly multicolored agate. Fred has polished the top surface of each specimen to reveal the beauty of the agate. Each piece comes with an identification tag and a text explaining the process by which petrified wood was formed. Sizes will probably range from 1” to 5” in height, varying widths. Helen Hiebert’s 12 Months of Paper calendar will inspire anyone, young or old, to work with paper in new, exciting and fun ways. 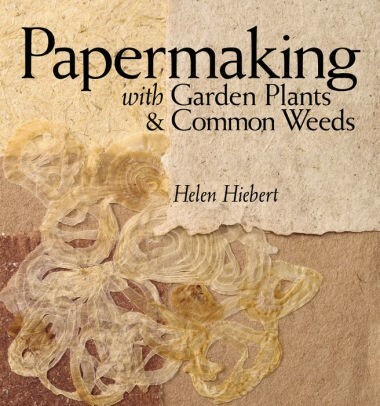 Helen now makes her home near Vail, CO, and is an internationally renowned artist who has been exploring paper for decades, stretching and redefining its possibilities and character. She has produced a number of books and films on paper craft, and knows how to make it accessible and exciting. The calendar offers illustrated instructions for making a new paper project every month, and comes with a template for cutting the pieces. Angelo Ambrosia (yes, that’s his wonderful real name! ), opened Ambrosia Glass Art Studio in Longmont in 2004, and he’s been creating one-of-a-kind hand-blown glass sculptures and vessels ever since. One-of-a-kind locally hand-blown glass Beer Steins will add some class to the enjoyment of a beer-lover’s home-brew or favorite local micro-brew. He also teaches glassblowing there, and guides his pupils with gentle and patient expertise. Angelo is renowned for his colorfully patterned vessels and light fixtures, ranging from playful to sophisticated. We are delighted to offer some of his small pieces for the gift-giving season. 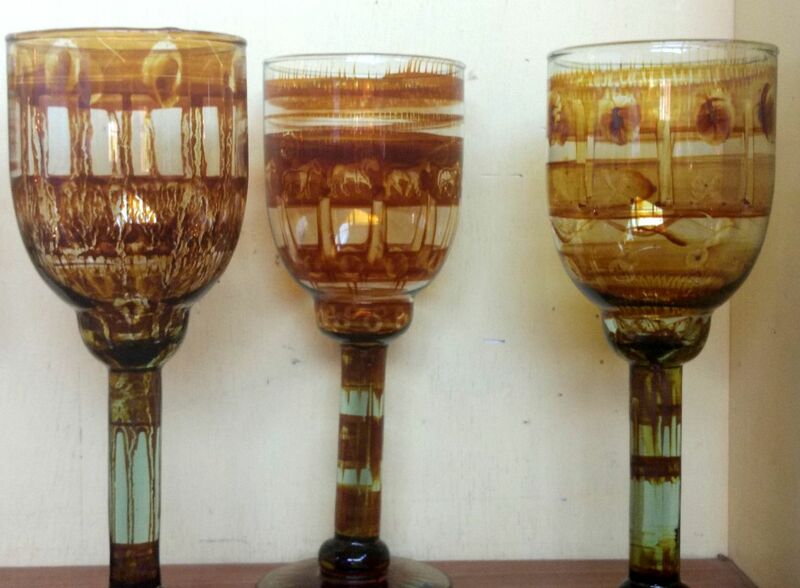 Marie Foucalt has brought us some stunning pairs (and singles) of glasses and goblets to enhance the experience of sipping a fine wine, martini or brandy. She finds most of her pieces in thrift stores and transforms them into elegant works of art that are very affordable! These colorful nylon hammocks and packs are Boulder-designed, fair-trade produced and thoughtfully designed to be incredibly comfortable and durable, holding up to 400 lbs. They come in sizes to serve as everything from a hanging chair or gear-holder to a perfect bed for two. They’re also easy to clean, last for many years, and scrunch down into a little-bitty stuff-sack for easy, lightweight travel. The Bindle Pack emerges from its really tiny stuff-sack to serve as the perfect day-pack once you’ve set up your base camp. Or around town! Trek Light hammocks are not just for lounging and snuggling. Many customers have found that TL hammocks gave them their first sound sleep without back pain in years. They then ditched their mattresses (of all kinds) and have slept in heavenly peace ever since! Cayenne pepper can stop bleeding. 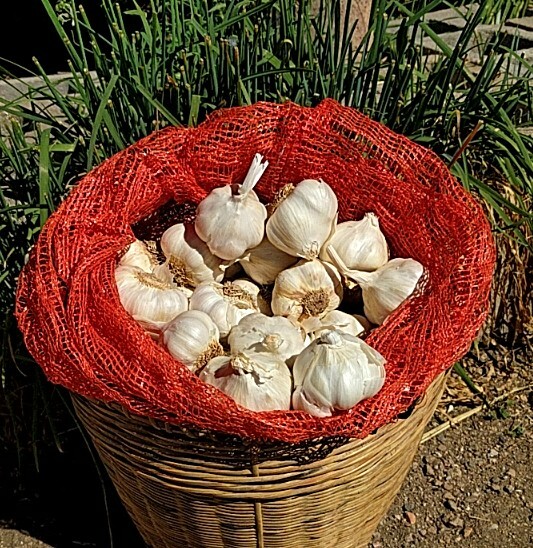 Garlic helps alleviate a toothache. Honey soothes a burn. When an emergency situation arises, simple home remedies can play a vital role in easing symptoms and providing immediate help. Become an effective first responder with a combination of best first-aid practices, herbs, and standard homeopathic applications. 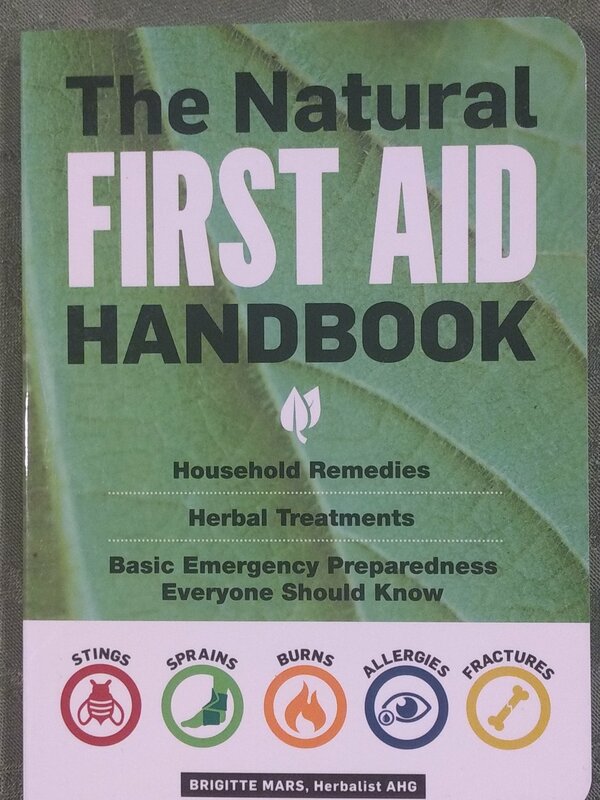 This quick-reference handbook spells out hundreds of life-saving techniques, commonsense tips, and time-tested herbal remedies that everyone should know. From how to perform basic CPR and the Heimlich Maneuver to the best immediate response to natural disasters, you’ll find the most practical, effective actions to take to ensure survival. Compact and easy to bring along in your backpack or camper! Don’t be fooled by the title; a lot of the area covered is in Colorado, including Denver, Boulder and Ft. Collins. This is a very good plant ID book from by Mary O’Brien & Karen Vail with interesting descriptions. In addition, it’s an excellent herbal, giving both medicinal and edible uses. Highlighted in yellow are important “cautions”. It is presented in a respectful way, honoring nature as did the Ute Indians who pioneered the use of these plants. For example, did you know that Gambel Oak “…is a good back country first aid plant to know, using the leaves as a poultice or wash for insect bites and wounds, or chewing a piece of the bark for toothaches….” Good photos. These local gals really know their stuff. Highly recommended. 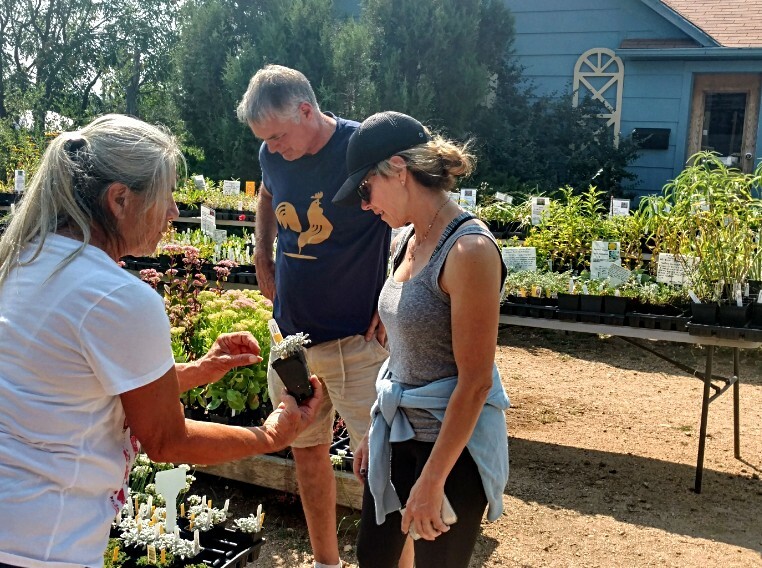 In the best-selling Homegrown Herbs, renowned herbalist Tammi Hartung gives you all the information you need to grow a long list of useful hardy herbs in Colorado. 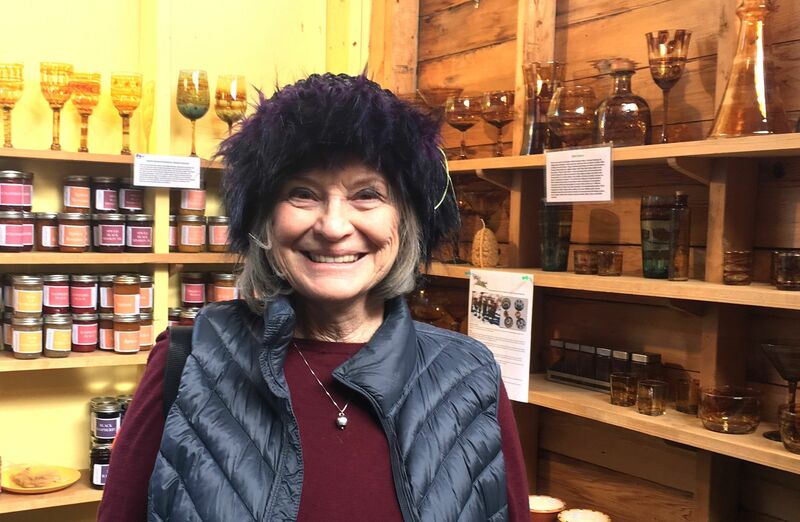 At their Canyon City, CO nursery, she and her husband Chris have been growing both popular and unusual organic herb plants for decades. 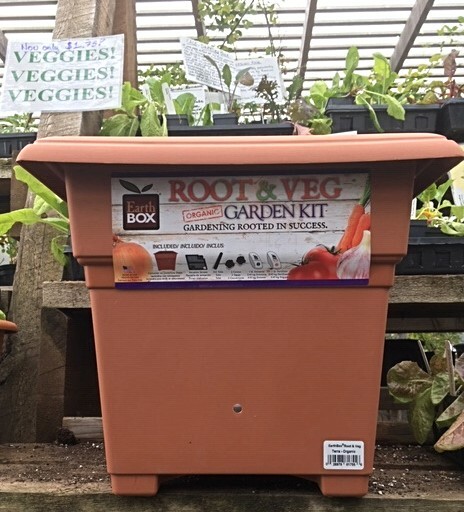 You can enjoy a thriving, fragrant herb garden and use your harvest to bring beauty, flavor, and health to your everyday life. Hartung provides in-depth profiles of 101 popular herbs, including information on seed selection, planting, maintenance, harvesting, and drying. Hartung also shows you how to use your herbs in a variety of foods, home remedies, body care products, and crafts. Whether you’re a seasoned herbalist or planting your first garden, Homegrown Herbs will inspire you to get the most out of your herbs. Engrid’s Leg Warmers, Boot Cuffs and Luxury Socks – Harlequin’s Exclusive! Our own Engrid Winslow hand knits these soft, warm, beautiful and practical wool leg warmers and boot cuffs that will keep you fashionably warm during and after winter sport activities. We also have her beautiful wool socks crafted in washable wool/poly blend and Pashmina yarns, in lovely color blends with reinforced heels and toes, in sizes for women and men. Quantities are limited. Created by Pamela Clum’s Plum Botanicals, a small fair-trade organic skin-care line based here in Boulder. This long-lasting lip balm is based on wild-collected African shea butter from a womens’ cooperative, and scented with the marvelous, unique, citrus-y essential oil of neroli. Shea butter is a natural sun-blocker, so it really helps prevent chapping in all seasons. Kisu is, by far, Eve’s favorite lip balm. It’s a toy for kids of all ages. It’s a tool for scientists and educators. It’s a medium for artists. It’s the winner of 22 awards and counting. And it’s a unique LOCAL product, the brainchild of our innovative friend and neighbor Paul Hildebrandt, also a founder of Eco-Cycle. 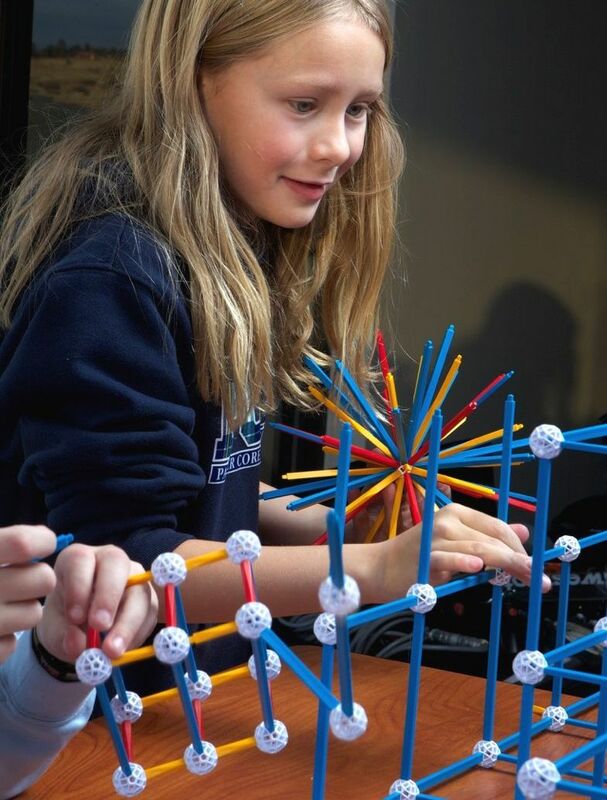 Inspired by the ground-breaking, visionary work of Steve Baer and Clark Richert, who developed the underlying geometry, Paul began producing Zometool kits in 1992. Get close to swallowtails, fritillaries, monarchs, blues, and other Colorado butterflies while learning about their miraculous transformations and unique adaptations. Striking photos and clear descriptions make it easy to identify common species. A month-by-month occurrence chart reveals when and where to look for your favorite butterflies. 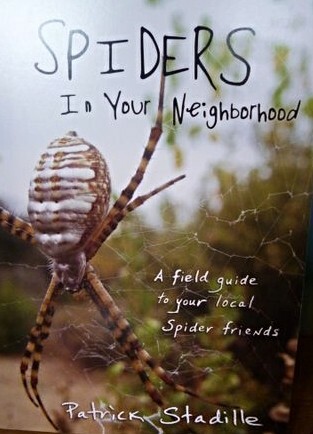 Written by our local naturalists Janet R. Chu and Stephen R. Jones. 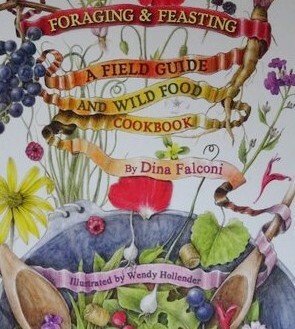 Foraging & Feasting Book – Harlequin’s Exclusive! We are very excited to offer this ground-breaking book again! Foraging & Feasting celebrates and reclaims the lost art of turning locally gathered wild plants into highly nutritious, delicious meals, a traditional foodway long practiced by our ancestors but neglected in modern times. The stunning, instructive botanical illustrations and delicious, enlightening recipes offer an adventurous and satisfying way to eat locally and seasonally, and present creative ways to bring wild edibles into our lives. We share this project with you out of our long commitment to connecting with nature through food and art. The effort weaves together acclaimed herbalist Dina Falconi’s 30 years of passionate investigations into wild-plant identification, foraging, and cooking with Wendy Hollender’s masterful botanical illustrations. In Part Three you’ll find more than 100 master recipes and countless variations formulated to help you easily turn wild plants into delectable salads, soups, beverages, meat dishes, desserts, and a host of other culinary delights. Would you like to learn botany while you cook? 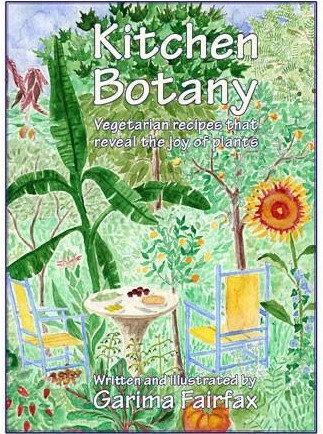 Our own Garima Fairfax’s unique cookbook joins botany and the pleasure of creative cooking. She combines foods which are closely related to each other in order to help learn who is related to whom. Garima continues to receive great reviews from people who have purchased and used her book. Eating is a very effective (and fun) way to help retain what you learn! 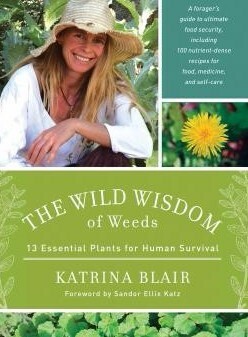 Katrina Blair is the author of The Wild Wisdom of Weeds, the only book on foraging and edible weeds to focus on the thirteen weeds found all over the world, each of which represents a complete food source and extensive medical pharmacy and first-aid kit. The Wild Wisdom of Weeds is about healing ourselves both in body and in spirit, in an age where technology, commodity agriculture, and processed foods dictate the terms of our intelligence. But if we can become familiar with these thirteen edible survival weeds found all over the world, we will never go hungry, and we will become closer to our own wild human instincts—all the while enjoying the freshest, wildest, and most nutritious food there is. Our Bee Barn is full of a good selection, featuring locally sourced products where possible. 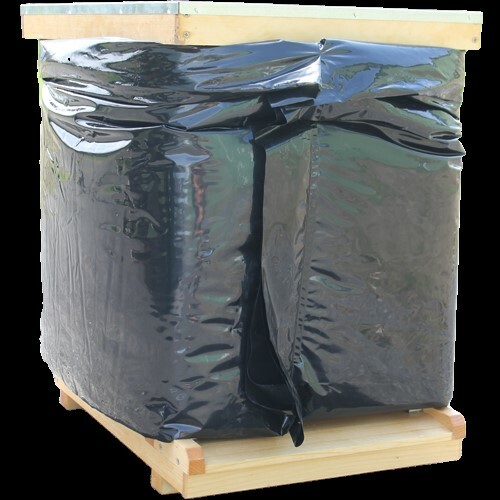 We feature 8 and 10 frame Langstroth hive equipment (both assembled and unassembled) and real beeswax foundation. We have a locally constructed top bar hive made with rough cut beetle-kill pine, a window and a screened bottom. Come and check out our great selection of tools and accessories, protective gear, feeding and bee health supplies, and great books. Whether you’re a new or continuing beekeeper, our staff beekeepers can answer questions and give advice. You’ll find our prices are quite reasonable. We have Beekeepers Shopping Lists for Beginners, Seasonal, and Holiday Gift Giving to help guide your selections. 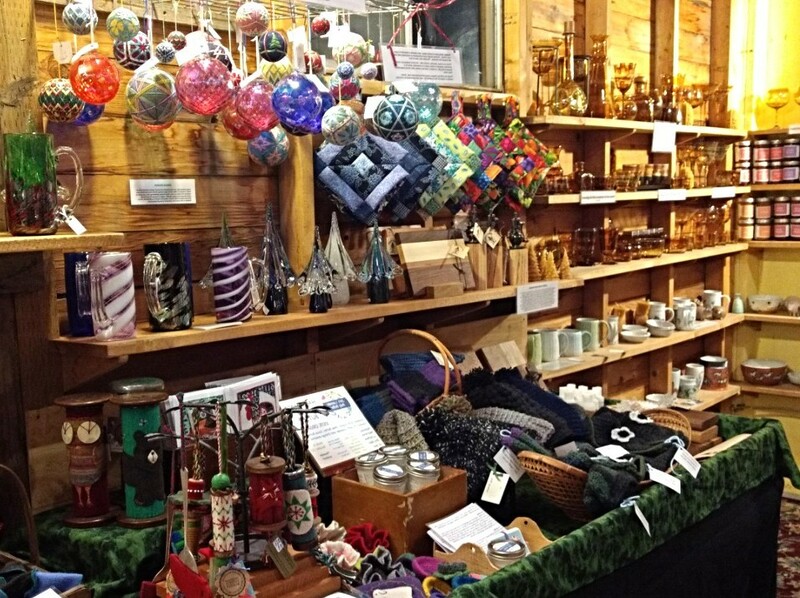 Kristina Williams, our own local bee expert will be on hand on Dec. 20 and 23 to help tailor your bee-gifting. The Front Range is home to over 500 species of native bees. These mostly solitary bees did ALL of the bee pollinating before the introduction of honey bees from Europe in the 1600s. They love our weather, soils and native plants. And we love them! We’ve partnered with Crown Bees to bring you a selection of products to help you culture these gentle hole nesting bees such as woolcarder, mason, and leafcutter bees using responsible, sustainable, clean culture methods. 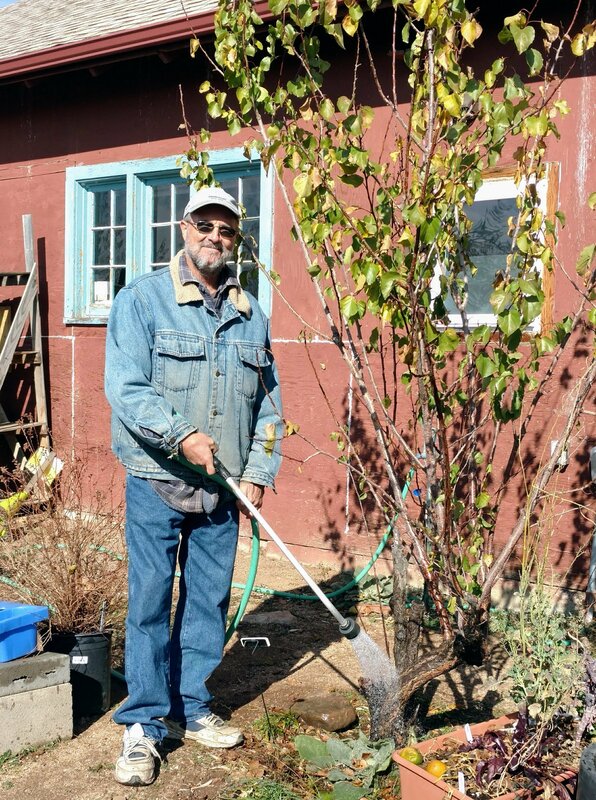 In spring we’ll be partnering again with Tom Theobald, a local mason bee cultivator, to sell tubes of mason bee larvae that are absolutely locally adapted and won’t introduce diseases from other parts of the country. WE EXPECT THIS TO TAKE PLACE ON SATURDAY, MARCH 2, 2019 – be sure to stay tuned to find out the final date and time! Here are some great gift options in order of the pictures. Native Bee Chalet: for placing nesting tubes for the current season and an attic for placing the previous seasons bees to emerge this season. Pollinator Pack: Tubes in an assortment of sizes and materials provide nesting holes for a variety of our native bees. 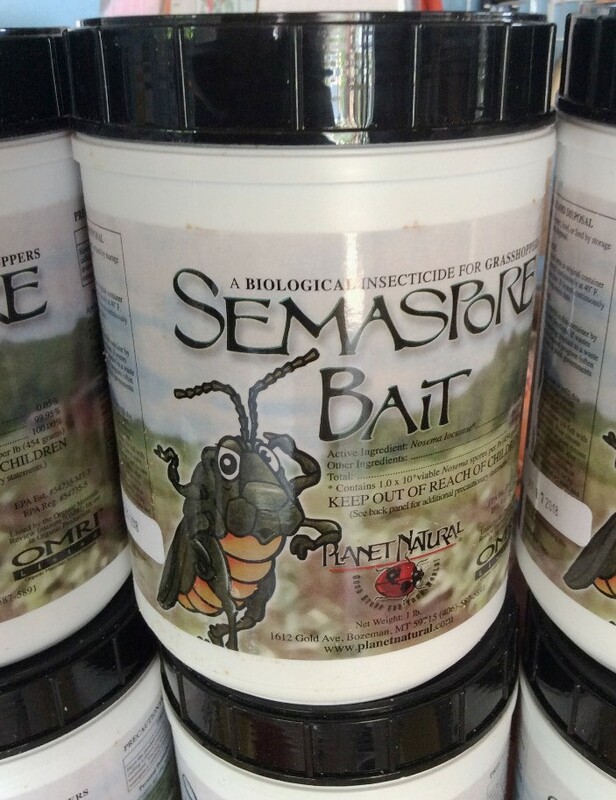 InviteaBee Plus Pheromone (scent): an extra enticement for mason bees to use your nesting site. Native Bee Guide Booklet: a brief introduction to just some of the bee species that may nest in your native bee house. The Mason Bee Revolution book: for those who are seriously into mason bees. Reusable cardboard mason bee tubes with disposable paper liners: the system Tom Theobald uses for those interested in spring mason bees in particular. Not sure what to give? 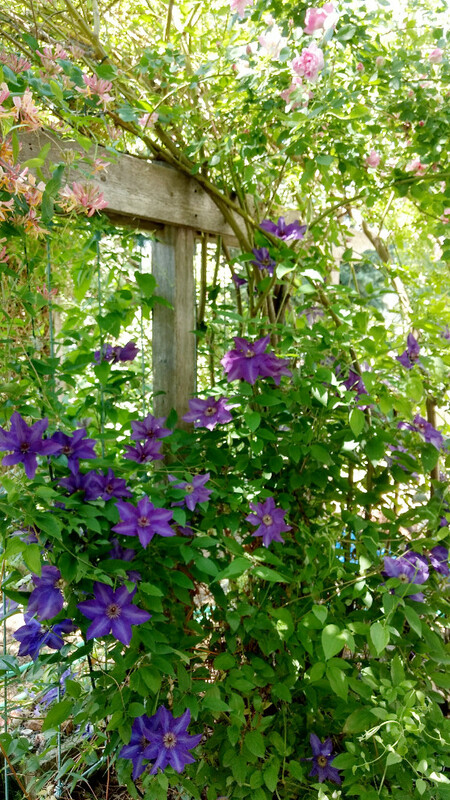 Consider giving a Gift Certificate to Harlequin’s Gardens! Our Gift Certificates are available in any denomination and are valid for up to one calendar year. With a gift certificate, your recipients can select from our wide array of neonic-free plants, soil products, gardening and bee-keeping tools and supplies, and more! Visit our store to purchase, mail-in your order with a check payment, or call 303-939-9403 and have your credit card handy! The Stella Natura Wall Calendar is an easy-to-use, informative and beautiful planting and gardening calendar that shows the best times to take advantage of the cosmic influences of the moon, sun and planets. 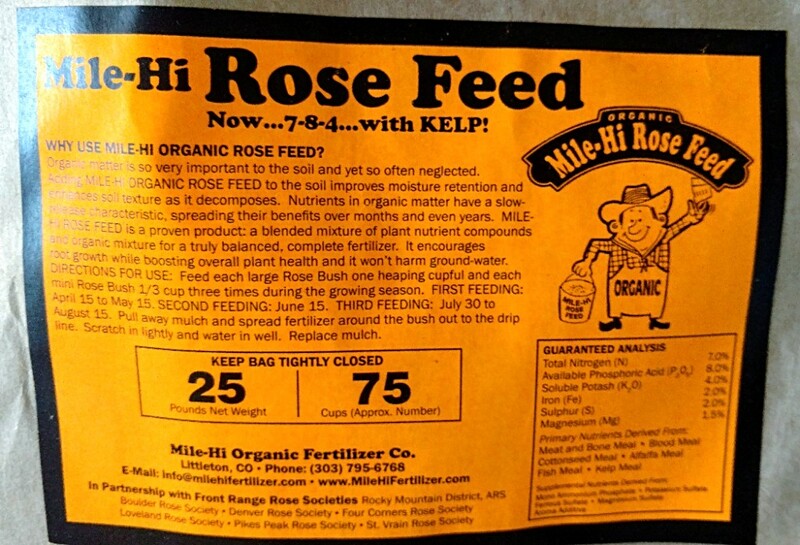 This is a research-based system that is used by Biodynamic farmers and gardeners. 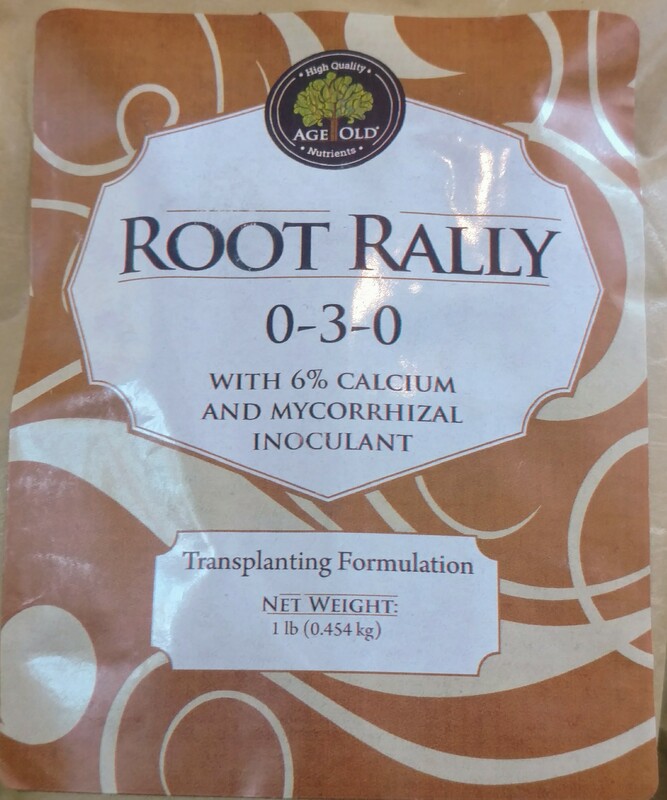 We have been using this calendar for over 25 years and believe it has helped with germination of seeds, root development of cuttings, and healthy plant development. More than just a calendar – it’s packed with valuable information and insights for successful growing, from seed to harvest. We love West County gloves! 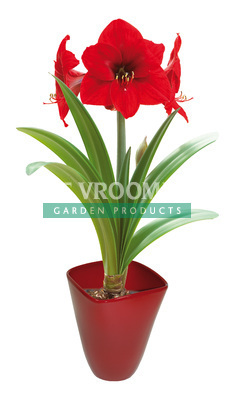 They are made from recycled plastic bottles, are very durable and stand-up to several seasons of tough gardening. They are machine washable and retain their shape. And they come in great colors and patterns! We carry their Work Glove, Rose Gauntlet, Mud Glove and Grip Glove, all in a range of sizes. If you give these gloves as a gift, be assured that the recipient is welcome to exchange them for a different in-stock size, as long as they are still unused and in their original packaging. Don’t leave your chilly dog out in the cold! If your best friend shivers on those winter walks, Canine Cardigans has the perfect solution: fine handcrafted, well-fitting dog sweaters from up-cycled cashmere, wool & other natural fabrics. Connie re-purposes unwanted vintage and second hand “people” sweaters into unique and fun dog sweaters in her Englewood CO workshop. She sources these sweaters from estate sales, yard sales, and thrift shops. She tells us “Once I find sweaters to use, I bring them home, wash and dry on hot and the ones that survive that make the cut to become dog coats. I also use most of the scrap in creating patchwork coats and sweaters so very little goes to waste and ends up in the landfill. I do all the creating, cutting and sewing in my lovely workroom at home”. Connie loves taking the unique features of each sweater into account as she transforms them into well-fitting dog coats. We are offering an assortment of her delightful sweaters for smaller breeds. While she’s at it, Connie ends up with all those cashmere sleeves, and rather than let them go to waste, she sews them into lovely, super-cozy fingerless arm/hand-warmers for those of us at the other end of the leash. Colorado-based Carbon Pawprint offers pets bowl mats made from reclaimed yoga mats, which are collected from local studios and practitioners. These dishwasher-safe mats help keep food bowls in place and protect your home’s floor from water (and drool) damage. Your furry friends will surely bark their approval knowing that you bought a unique, one-of-a-kind pet accessory while helping to reduce environmental waste and that a percentage of Carbon Pawprint’s profits are shared with local animal rescue organizations and charities! Doesn’t your dog deserve a gift? What does your dog love the best, besides you, and fetching? Good food, of course! Smart Cookie is headquartered in Denver, Colorado, where Scott and Bri Bradley make all-natural dehydrated treats and jerky for dogs. Their endeavor is founded on the principle that your dog’s treats should be custom tailored to what your dog(s) need to maintain their best possible health, and be yummy as well. Smart Cookie products are made from scratch in small batches, using fresh, wholesome, human-grade ingredients – real meats that they grind in-house, vegetables and fruits – then dehydrated to retain maximum nutritional value. Their treats are grain-free and soy-free, and have no artificial ingredients. 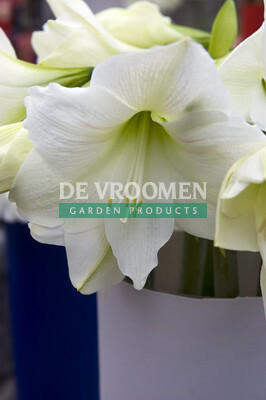 Five gorgeous varieties of Amaryllis ‘Minerva’, plus Paperwhite Narcissus! WELCOME TO OUR HOLIDAY OPEN HOUSE! Green Friday is almost here! We’re just putting the finishing touches on the big transformation, turning our down-home garden store into a magical marketplace for the best holiday shopping experience ever! We call it Green Friday because we feature the most sustainable products from artisans who not only create beauty, but also care deeply about treading lightly and making a positive impact on this precious planet of ours. They reuse and recycle, offer great natural alternatives to plastic and other synthetic materials, promote reverence for the wonders of nature, the processes and players that make it all happen, and open our eyes to viewpoints and details we not have noticed or encountered before. And this is the time of year when most artisans make the bulk of their annual income. 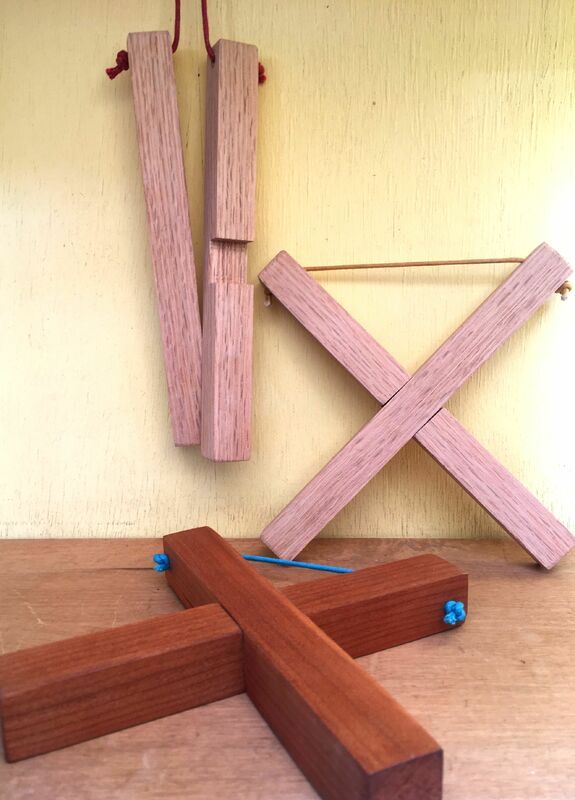 As always, we offer goods that are Local, Sustainable, Pure, Non-toxic, High-quality, Beautiful, Unusual, Innovative, Practical, Delightful and Durable. And importantly, your purchases help keep the wealth in our local economy. This year we’re featuring the wonderful craftsmanship of nearly 100 artisans, local and regional – even adding new artists this week! 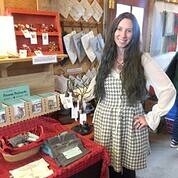 Our artisans and their products are profiled in our Holiday Market Catalog, which we emailed last weekend, or click here for our website listing. We appreciate your sharing our catalog with all of your friends and family! We would love to see you this weekend, Green Friday through Sunday at our very special OPEN HOUSE! See details below. Harlequin‘s Gardens is wishing you a calm, peaceful, and bountiful Thanksgiving shared with people you love! We have much to be thankful for this year, foremost being your steadfast patronage, the increase in our community’s commitment to sustainable gardening, and the boundless energy of our owners and staff to bring our nursery to fruition. Thank you so very much! Featuring Live Music & Home-made Treats! FRI, NOV. 23, 10:30 am to 12:30 pm: RICHARD BACKES & PAYGE EMERSON, Celtic & Appalachian duo on fiddle, guitar, mandolin, flute, button accordion and vocals. FRI, NOV. 23, 1:00 to 2:30 pm, MARGOT KRIMMEL, Celtic and original harp. SAT, NOV. 24, 10:30 am to 12:30 pm, PAUL VISVADER, Hawaiian & original guitar. 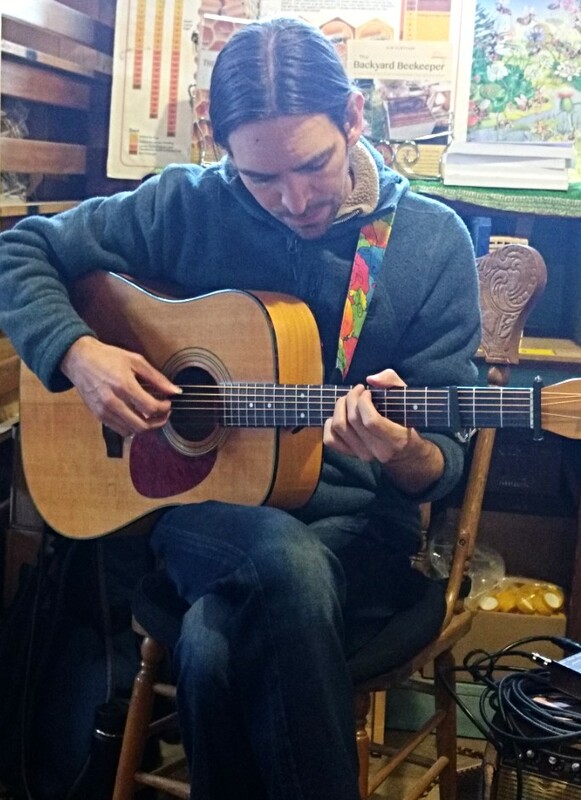 SAT, NOV. 24, 1:00 to 2:00 pm, JON SOUSA, Colorado’s finest Celtic guitar and banjo. SUN, NOV. 25, 11:00 am to 1:00 pm, RON SOMMERS & JEFF HAEMER, Old-Timey and Swing music on guitar, mandolin and vocals. FIRST ROW: Tehya Macintosh’s Indigo Shibori-dyed zipper bags. Renee McDougall’s Green Man. Rose and the Wren Knitting project bags. 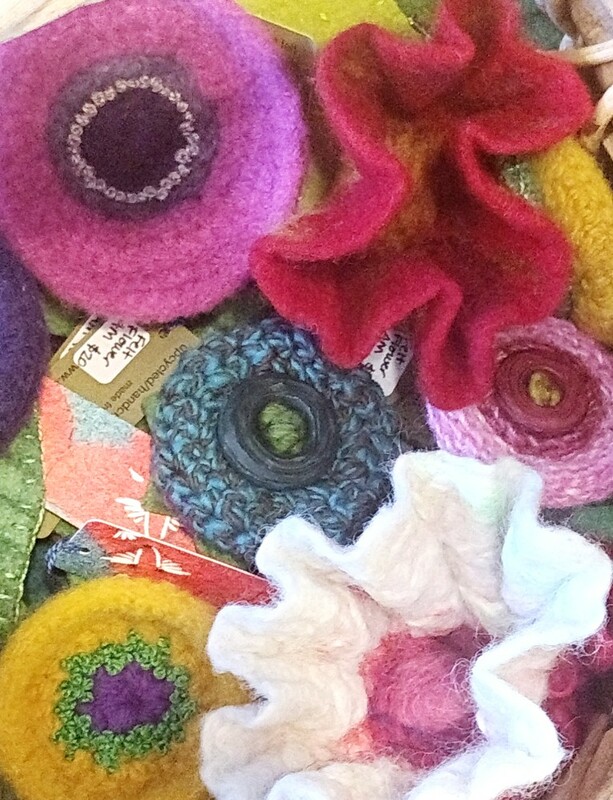 SECOND ROW: Amy Mundinger’s felt & fiber flower pins. Angelo Ambrosia Art Glass. THIRD ROW: Lois Edgar’s clay critters. MaryLynn Schumacher goat & turtle bowls. Amanda Maldonado’s drawings. FOURTH ROW: Children’s View Scope. Engrid’s Jams. 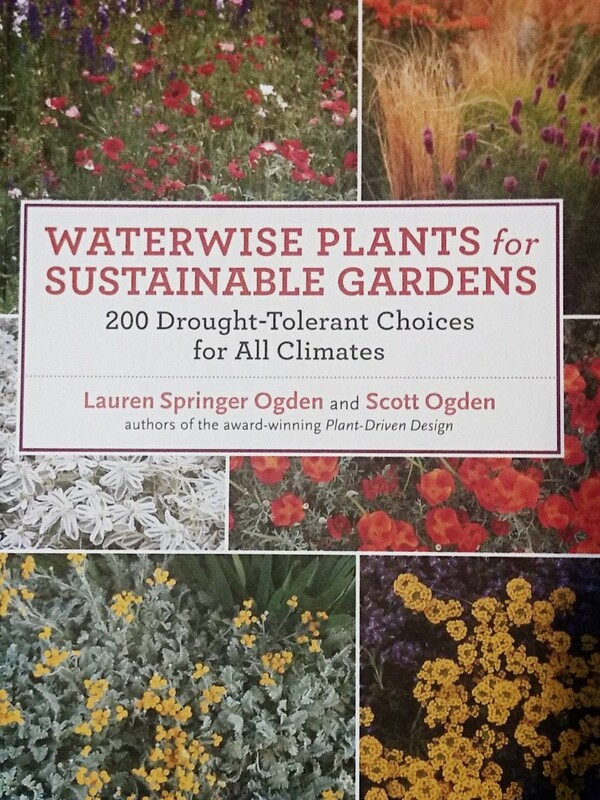 FIFTH ROW: Waterwise Plants book by Lauren Springer & Scott Ogden. 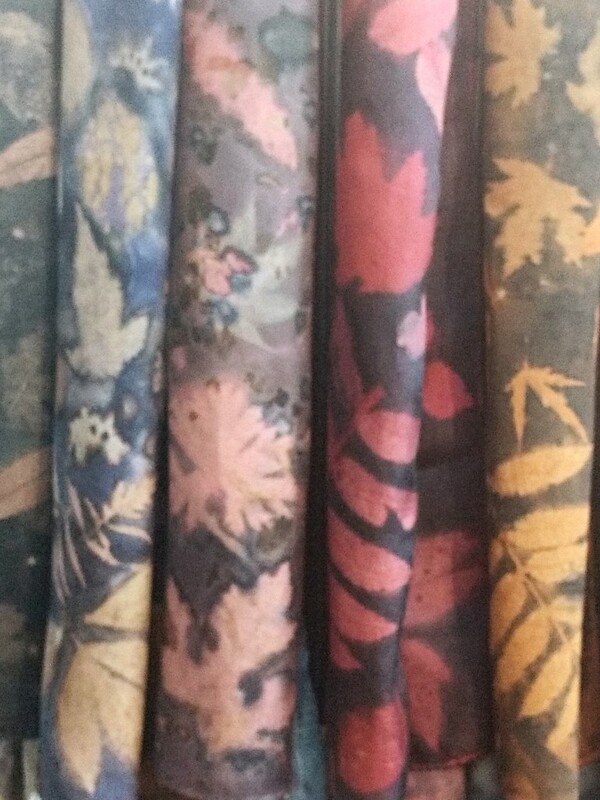 Annette Kennedy nature printed scarves. Mushrooms of the Rocky Mt. 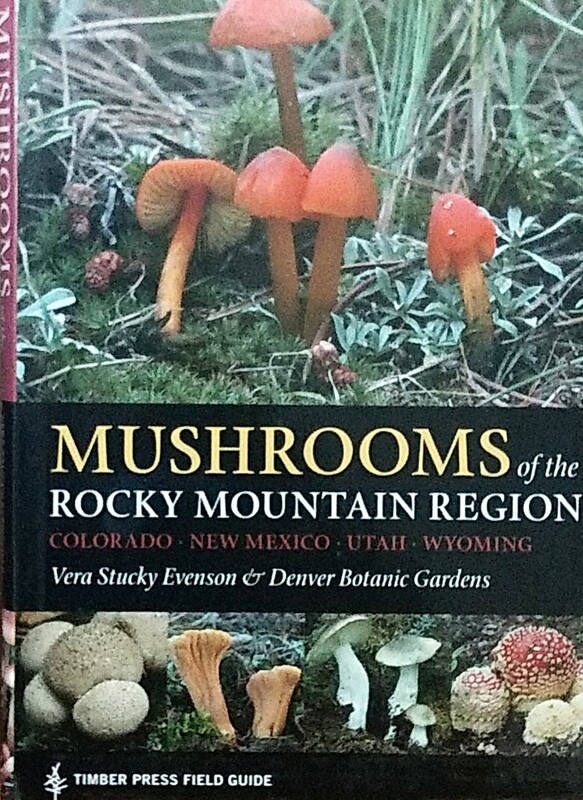 Region book by Vera Evenson and Denver Botanic Gardens. We hope to see you at our opening weekend! Welcome to our 7th Annual Local Holiday Market! By now most of you already know that our Holiday Gift Market is the most rewarding place to shop for your holiday gifts and entertaining. 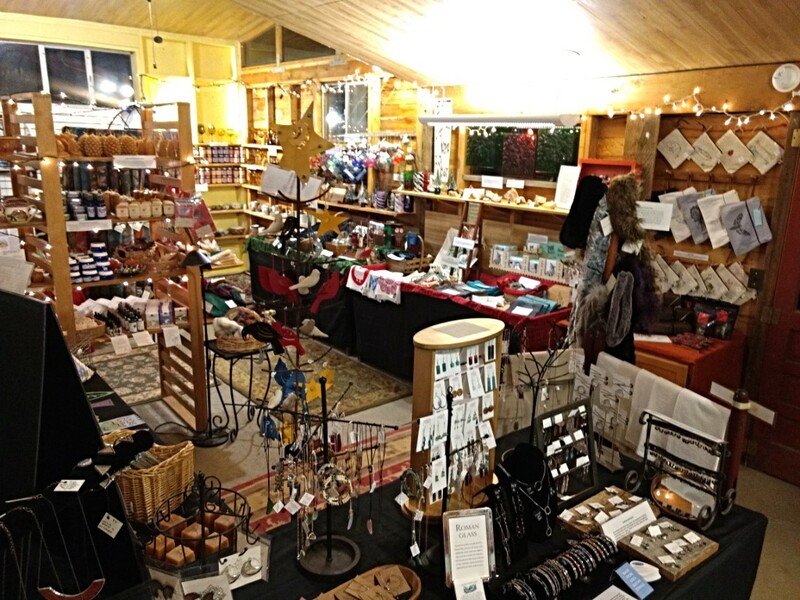 We keep adding new artisans and products, and we always offer an amazing array of outstanding locally-crafted items in many categories so you can shop for everyone on your list in one place, relaxed and far from the madding crowd! And this year, because of the way the calendar happens to fall, we will be open for a whole extra week, giving you 5 ‘long weekends’ of opportunity! 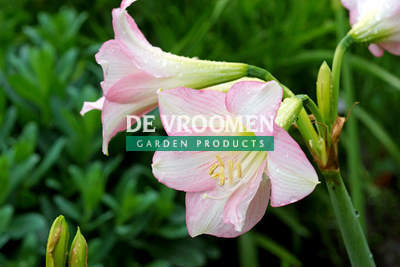 Just as in our plants and nursery products, our standards are high. We prefer to offer goods that are Local, Sustainable, Pure, Non-toxic, High-quality, Beautiful, Unusual, Innovative, Practical, Delightful and Durable. Each day of our Holiday Gift Market, anyone who comes to Harlequin’s and makes a purchase will be entered in our DAILY DRAWING for a $15 GIFT CERTIFICATE! In addition, we will conduct a drawing at the close of the Holiday Market for two $100 GIFT CERTIFICATES, winner to be drawn at 5:00 on Sunday, December 23! To enter, simply show up, make a purchase and fill out an entry form. (One entry per person; entrants need not be present to win.) Share this announcement blog with friends who may not know about it! Please join us for our HOLIDAY OPEN HOUSE, Friday, Saturday, and Sunday of Thanksgiving Weekend! See details below. SAT, NOV. 24, 10:30 am to 12:30 pm, REBECCA WATERHOUSE & GUILLAUME GAULLIER, spirited Irish and Breton traditional tunes on fiddle and Irish flute. Haleluja! A new award-winning and truly exceptional “Milk” Chocolate bar … made with coconut milk instead of dairy! This rich and creamy vegan 52% milk chocolate is handcrafted with cocoa beans sourced directly from farmers in Del Tambo, Ecuador, plus organic coconut. It is Certified Kosher D.E., vegan, gluten-free and dairy-free. We are also delighted to bring back Askinosie’s fabulous Peppermint Bark, packaged in tins that make great stocking stuffers, and their Gingerbread Chocolate bar, which infuses their rich milk chocolate with an aromatic blend of classic gingerbread spices for an unforgettable flavor treat! 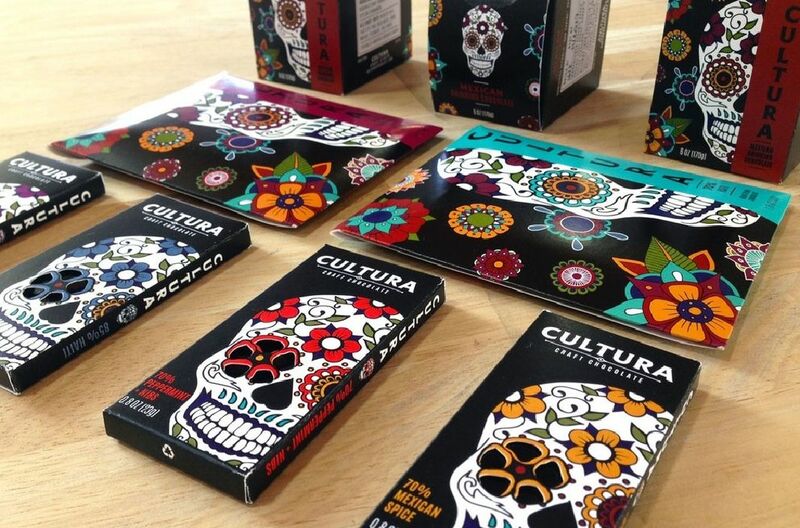 A Denver-based, micro-batch, bean-to-bar artisan chocolate, Cultura is produced in one of Denver’s ‘maker spaces’ called the Art Gym. They use only beans from ethically-sourced and organic cacao farms in Latin America, which they hand sort, crack, roast, winnow, grind, conche, temper and mold to bring out the richest aromas and flavors and the smoothest textures. We are offering their superlative chocolate bars in multiple flavors and sizes, as well as their delicious Mexican style Sipping Chocolate! Eve’s Pecan Shortbread Cookies – Harlequin’s Exclusive! Back by popular demand: Scrumptious, rich, melt-in-your-mouth nut shortbread cookies, based on almond flour, pecans and butter, subtly sweetened with a little maple syrup. Gluten-free, grain-free, mostly organic, no refined sugars. You don’t have to be gluten-sensitive to love these rich and satisfying cookies! Haystack Gardens Fruit Preserves – Harlequin’s Exclusive! Many of you already know that our own Engrid Winslow makes jams and jellies that make you close your eyes and sigh with pleasure. She uses fresh fruit, (local and organic whenever possible) and very little sugar, so the fruit flavors shine. She makes the classics as well as many delicious originals, like Pear with Vanilla Bean, and Blueberry Lemonade, to name just a couple. 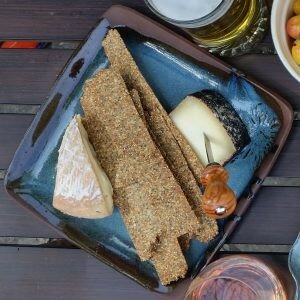 Engrid is always coming up with new combinations and this year is no exception as she introduces us to new Limited-Edition savory flavors: Ginger Peach Marmalade, Spiced Black Mission Fig, and Apricot Rosemary. You’ll find delicious uses for Engrid’s preserves, in breakfasts, hors d’oeuvres, salad dressings, glazes, and desserts. Kristina’s Bees Natural Honey – Harlequin’s Exclusive! Kristina is our beloved beekeeping specialist, an entymologist with more than 35 years of beekeeping experience, and an amazing wealth of knowledge. 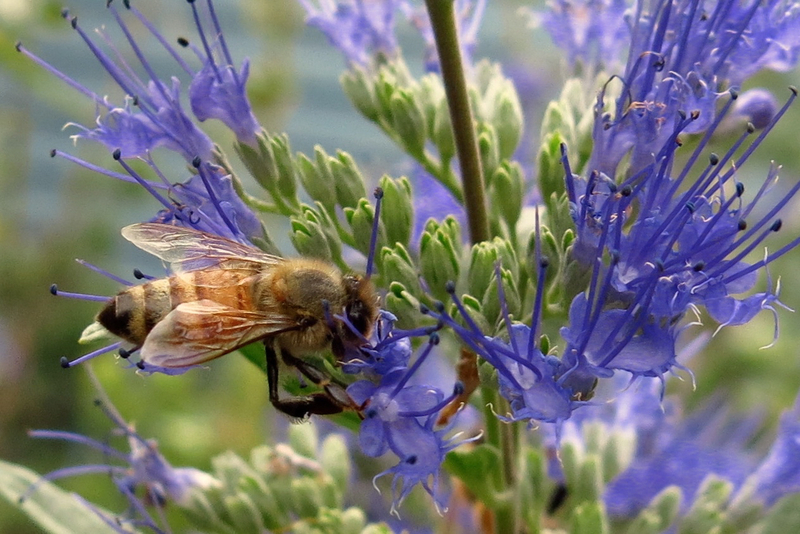 She tends hives in diverse gardens at several locations around Boulder County, where the bees collect from alfalfa, Russian olive, sunflower, apple and many others surrounding the small farm where she lives just off the Diagonal in Longmont. This year she’s bottling up some of her liquid gold to sell exclusively at our Holiday Gift Market! It tastes divine! 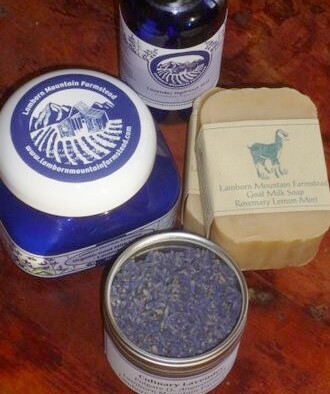 Lamborn Mountain’s organic lavender and goat milk body-care products, made on a small farm in Paonia, CO, by our friends Carol and Jim Schott, are a great favorite at Harlequin’s. Now we are also offering their lovely tins of their delicious and aromatic organic Earl Grey tea with lavender buds, and their new home-grown, hand-harvested Chamomile Lavender tea, a relaxing treat! Both make wonderful, unique stocking-stuffers! Trish Kurnik is a Longmont neighbor and friend of ours, who in 2005, while still in grad school, was diagnosed with Celiac Disease. She had to learn how to cook, bake and live without gluten. But she was up to the challenge, and not only felt 500% better after 2 gluten-free weeks, but laid the foundation for later launching into her handmade, artisan cracker business – Beat Foods. These crackers are fabulous! Based on quinoa flour (complete protein, packed with fiber and gluten-free), New Beat crackers are thin and crispy, local, organic, nutritious, gluten-free, versatile and absolutely delicious! We are offering their Sesame Swing, Trio, and Play it Straight flavors. Longmont chocolatier and pastry chef Robin Autorino refers to her award-winning artisan chocolate creations as edible art – art for your eyes and your mouth. She combines her exceptional artistry and fine ingredients to create little masterpieces that taste as good as they look. 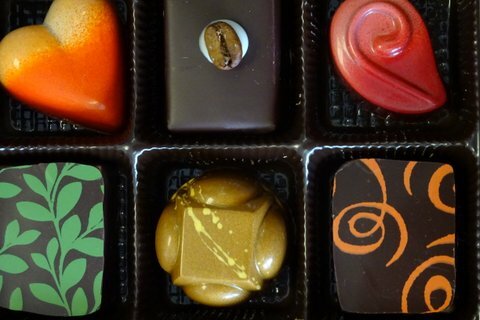 We love them, and are offering assortments of her truffles in handsome boxes of 4, 6, 8 or 12. “I want my ganache to be bold,” Robin says. “I want the Key lime pie truffle to give you some pucker. I want the espresso to bring you the same comfort as your morning cup.” Also, this year: Robin’s delicious Dark Chocolate Drizzled Crystallized Ginger, packaged in bags. 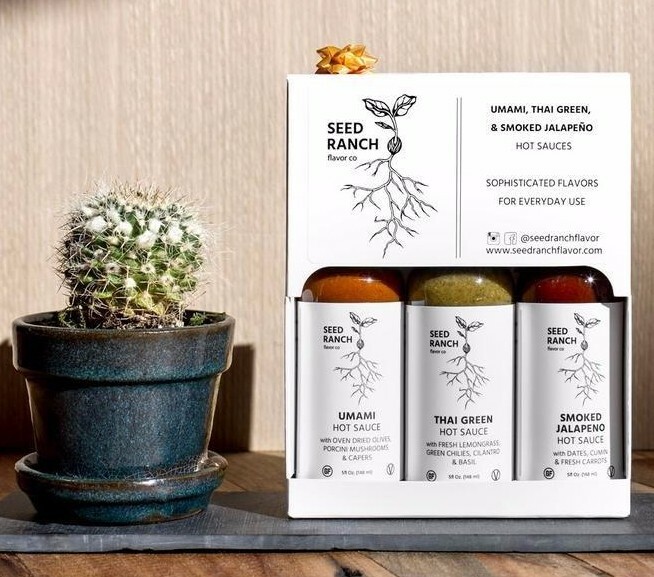 Seed Ranch Flavors is a small ‘farm to bottle’ small-batch maker of ‘hot’ sauces (one is very mild) in Boulder, the passion of David Delcourt. David uses only non-gmo, gluten-free, organic, natural plant-based ingredients, and his sauces are paleo and vegan-friendly. What really caught our attention was the delicious originality and complexity of the blended flavors, and their versatility – not just for tortilla chips! 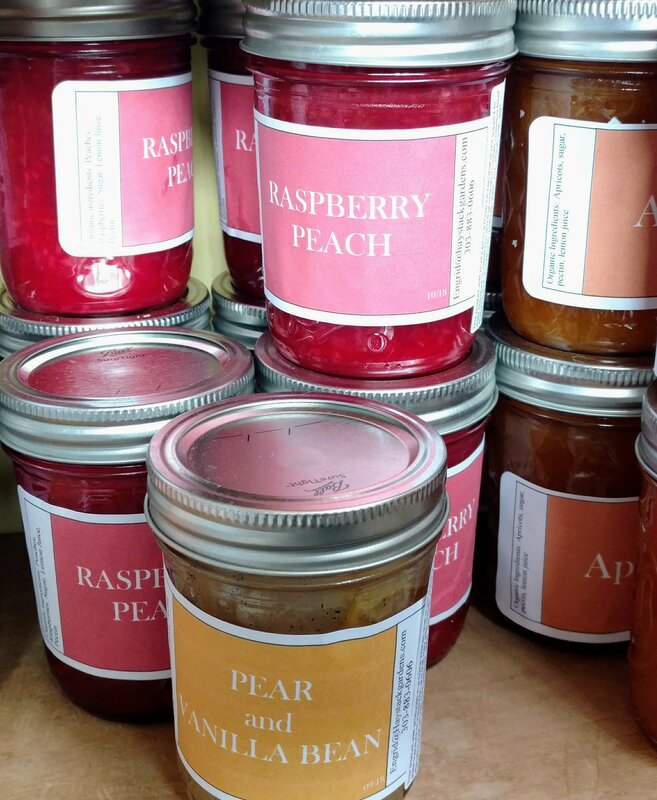 These make great hostess gifts, or components of an all-local specialty food basket! Yea! 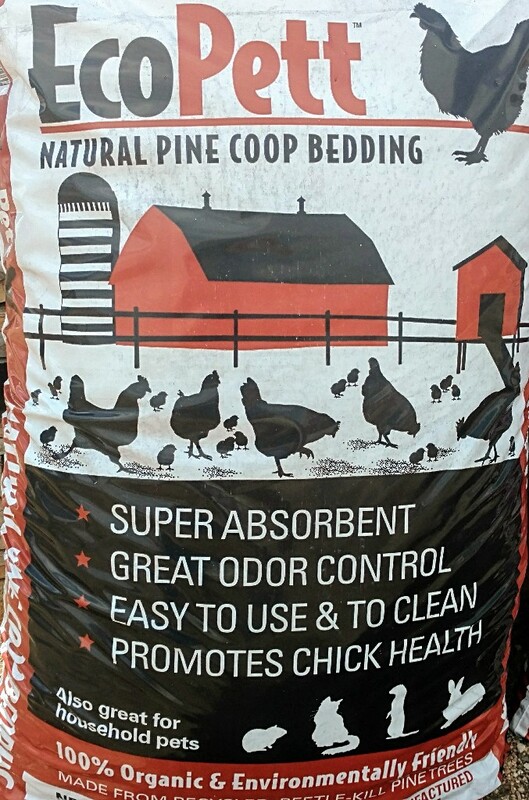 Totally organic! Made in Boulder by herbalist Debra St. Claire! No corn syrup! Delicious! Effective! Packaged in pretty, reusable tins! 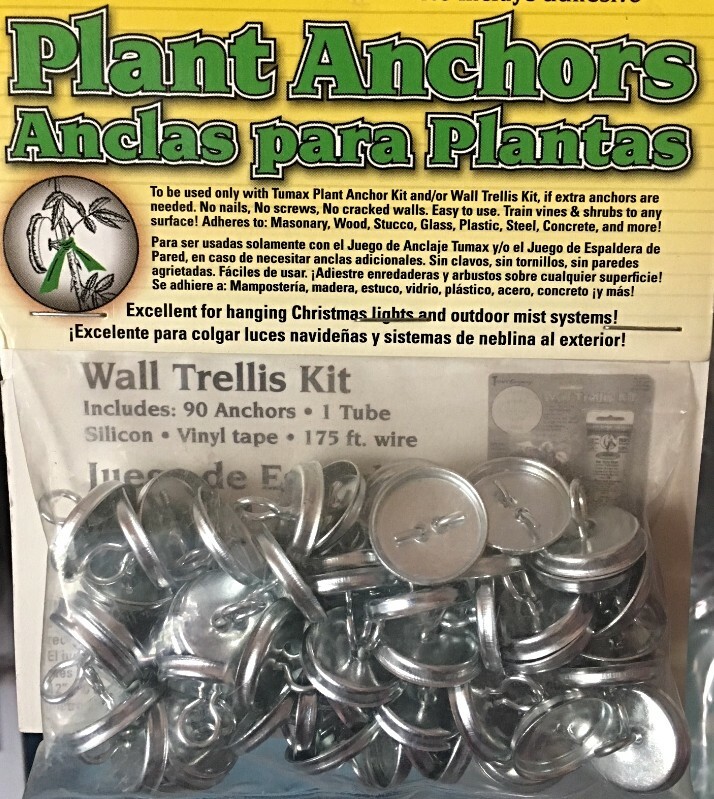 Incredibly inexpensive! 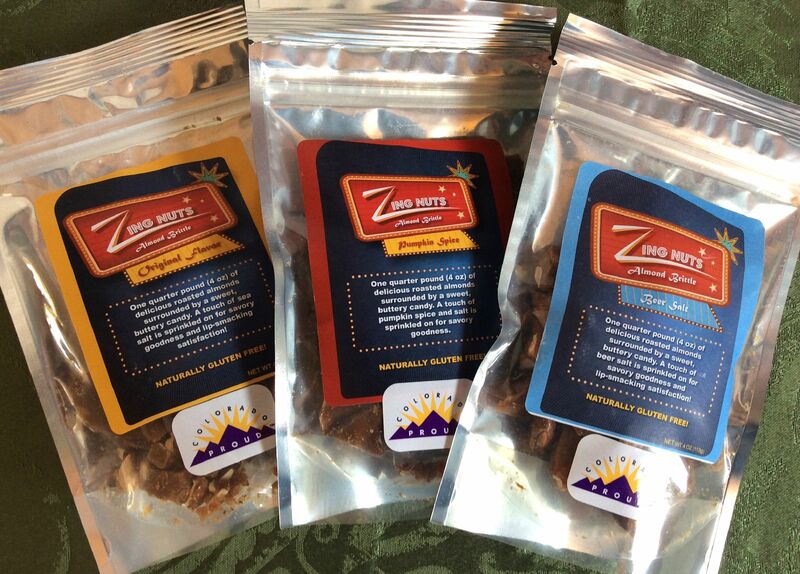 Inspired by his father’s holiday candy making, Rand Lechner of Zing Nuts makes quality almond brittle right here in Boulder. Although his main recipe is simple, he breaks from tradition by adding exciting spices, and flavor combinations. We have decided to offer the Original, Pumpkin Spice, and Colorado Beer Salt versions. All of his nut brittles are naturally gluten-free except, of course, the Colorado Beer Salt. Aay Bravin grew up in a village in northern Thailand, a 1-hour walk from the border with Burma. Her grandmother taught her how to weave and crochet when she was young. Her family grew cotton and raised silkworms. They made all their own clothing and grew all their food. They had neither electricity nor phone service and without contact with the outside world, they had to be totally self-sufficient. But now she is here in Boulder, where she enthusiastically continues to knit, crochet and weave and share the beauty of her creations. Her warm, snug-fitting fingerless gloves are both beautiful and practical, covering more of the fingers than other fingerless gloves, but enabling easy phone use, writing and handwork. She also makes cozy slippers and hats! Engrid’s Luxury Socks, Leg Warmers & Boot Cuffs – Harlequin’s Exclusive! Our own Engrid Winslow hand knits these soft, warm and beautiful wool socks, in washable wool/poly blend and Pashmina yarns, in lovely color blends with reinforced heels and toes, in sizes for women and men. Quantities are limited – the early bird gets the socks! Eve’s Handwoven Scarves – Harlequin’s Exclusive! Eve wondered why, in all these years, she had never become a fiber artist. So she took a class, bought a small, simple table-top loom and a bunch of beautiful, soft, natural-fiber yarns, and got to work. The rest is not yet history. In 2017 she introduced her first efforts. 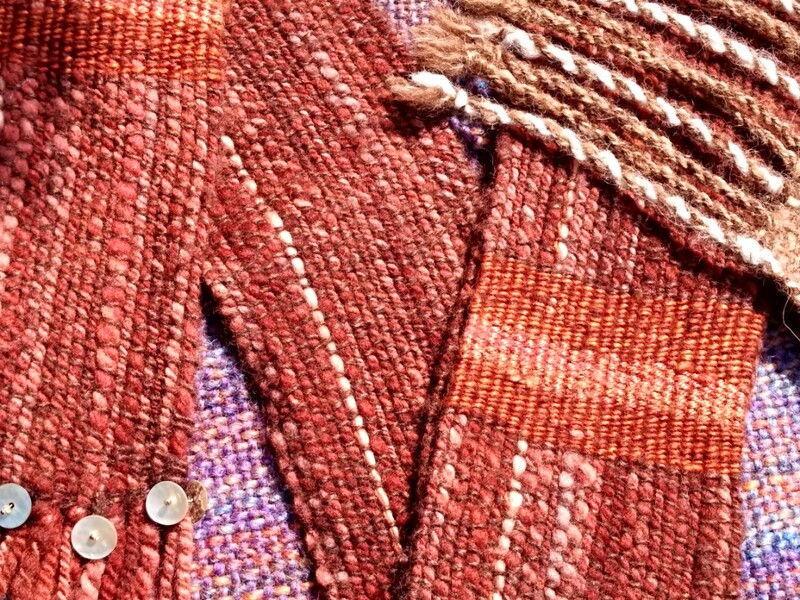 She has now developed a compelling passion for weaving and a formidable collection of yarns, with an emphasis on locally hand-spun and hand-dyed natural fiber yarns, often spun from the wool of local sheep, alpaca, and even apartment-dwelling Angora rabbits! She designs her scarves with the aim of showcasing the wonderful textures and colors of these yarns in beautiful, practical and affordable accessories. If time permits, Eve hopes to design and weave some natural fiber (think hemp, linen, cotton, raw silk) placemats and table runners as well. Nationally acclaimed local fiber artist Annette Kennedy, widely known for her award-winning art quilts, turned her talents and her love of nature to making marvelous nature-printed silk scarves. She uses leaves, flowers, buds, etc. from plants that she grows herself and forages, along with natural dye plant extracts, to create elegantly subtle, earthy, one-of-a-kind scarves that feel as luxurious as they look. Boulder artist Karen Edgerly is an accomplished silversmith working in silver combined with copper and brass that she etches, casts or form-folds and sets with precious or semi-precious faceted stones to make sparkly everyday-wearable necklaces, earrings, bracelets and rings. Karen also teaches her craft at pARTiculars in Lafayette. Eve discovered Pebble Art Jewelry when she was lured into their little shop by an arresting display of jewelry made from ancient Roman glass. This year Kate Head and Jill Hadley, two of the three artists at the shop, bring us wonderful pieces featuring fragments of 1200 year old Roman era glass from the Mediterranean region in gorgeous shades of blues, greens and iridescent pearl combined with modern styling, and at very reasonable prices. They’ll also bring a variety of lovely pieces with semi-precious and other natural stones. Pebble is located at 7980 Niwot Road next door to the Niwot Market. Dichroic glass is glass which displays two different colors by undergoing a color change in certain lighting conditions. This occurs as a result of stacking layers of glass and micro-layers of metals or oxides which give the glass shifting colors depending on the angle of view, an example of thin-film optics. It’s also quite vivid and sparkly! Her brilliant earrings and ornamented bobby pins are big favorites at our Holiday Markets. In her Denver studio, Sarah makes delicate and feminine jewelry featuring semi-precious stones, pearls and fine metals. Her expert wire-wrapping and metalworking create elegant settings for the stones, making her pieces luxurious-looking yet affordable. We are very excited about Sarah’s latest work, which features her original silver and copper metalworking. 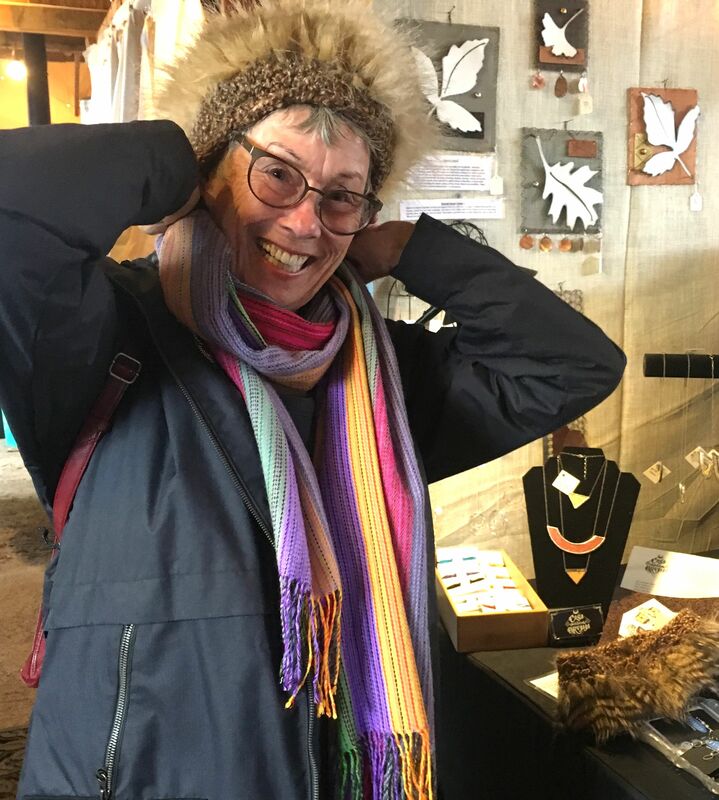 Sondra joined us late in our 2015 holiday market and her fun, original hand-knitted hats and headbands immediately set off a buying frenzy. I get compliments wherever I go in the fabulous feathery headband I bought, even from strangers on the street. We’ve stocked up on her pieces this year, and added her soft, snuggly ‘mobius’ scarves, as well as her beautiful pressed-flower botanical cards. I met Tehya in the context of our mutual membership in the Handweaver’s Guild of Boulder, where I discovered that she has, for many years, had a very productive passion for the Indigo Shibori dye process, and other fascinating natural dye and patterning techniques. 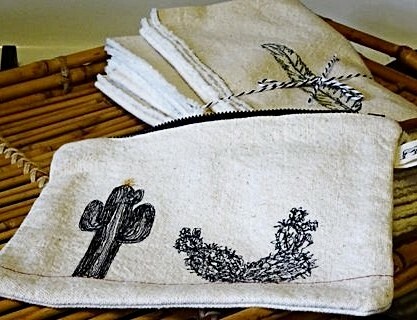 She’s been hand-crafting beautiful, one-of-a-kind napkins, towels, and clutch handbags to give as gifts to her family and friends, and now for the first time, will be offering them for sale at our Holiday Gift Market! Tehya McIntosh has made Boulder her home since 2000. She’s a creative whirlwind, a long-time participant in the Waldorf education movement started by Rudolf Steiner, and President of the consumer products company called Now & Zen, Inc., creators of The Zen Alarm Clock. We’re very happy to introduce Third Wolf Designs’ tee shirts for men and women into our Holiday Market this year. Alexa Varano paints her original designs on each individual piece of sustainably and ethically produced clothing with a paintbrush in her Denver studio – no screen-printing here! 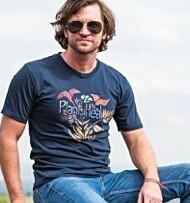 We’ve chosen three of our favorite designs in two different tee shirt styles. The flattering scoop-necked women’s shirts are made of silky soft, breathable, moisture-wicking, fast-drying bamboo (70%) and organic cotton (30%), guaranteed not to shrink. 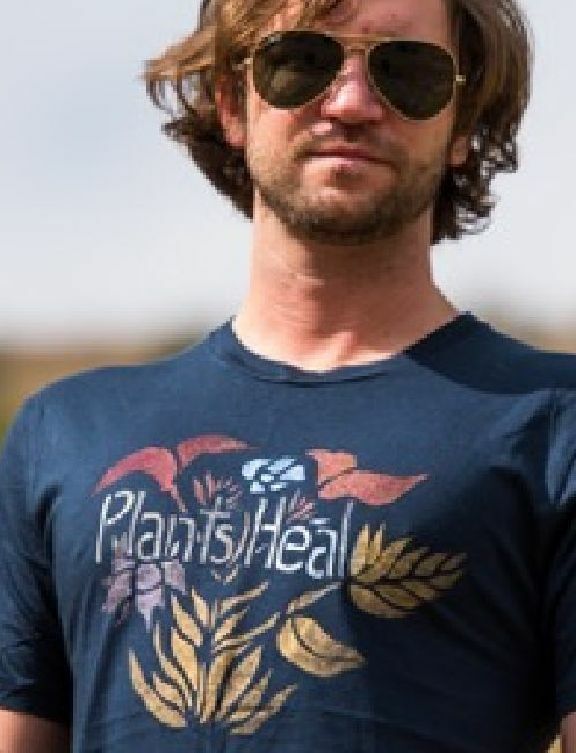 The unisex classic crew-neck tee-shirts in men’s sizes are made of 100% hemp, another great natural fiber, durable and soft! Alexa is a young woman on a joyful adventure in sustainable business that combines her passion for sharing uplifting and healing symbology with her passions for making art and making personal connections through her art and business. As we approach the holiday giving season, please be sure to look beyond the stylish labels and pay close attention to potential toxins that may lurk inside the containers of beauty and personal care products. Fragrance. That one word allows companies like L’Oréal, Proctor & Gamble, and thousands of others to put any of 3,000 chemicals into your shampoos, make-up and other personal care products. Without telling you! That’s ridiculous! This is just one of the possible dangers you should be aware of and avoid when shopping for products you put on your skin, lips, hair and nails. At our 7th Annual Holiday Gift Market you will find an excellent selection of body care products that are completely non-toxic. We offer our favorite small-batch, local artisan-crafted products including soaps, lotions, salves, facial oils, lip balms, and our exclusive, famous Dr.Brawner’s Aftershave! An all-natural handcrafted soap by Botanicals Beyond Belief. 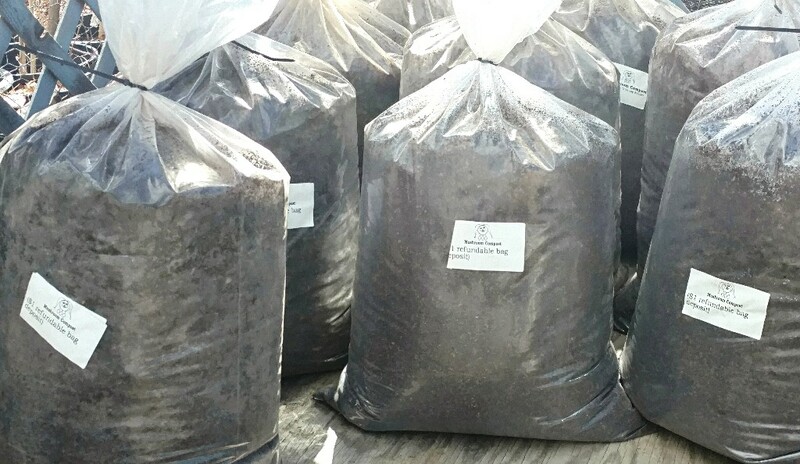 This unique blend of coffee grounds & pumice has a great earthy scent! Don’t worry, this hand soap has what it takes to scrub off your dirt & grime after a hard day’s work. Ingredients: Olive & coconut palm oils, spring water, lye, fragrance oils, coffee grounds & pumice. Give a friend (or yourself) the gift of healing relaxation! We are very pleased to offer our dear friend Blair Chandler’s handmade, reiki-infused Bath Salts that bring forth the healing properties of the mineral-rich Himalayan salts and the biodynamically-grown plants she raises in her organic Boulder garden. You can trust that Blair’s Herbals products are made with the highest quality ingredients and intention. Blair is also a gifted practitioner of Reiki and Healing Touch therapy techniques, working with subtle energy. Dr. Brawner’s Healing Aftershave – Harlequin’s Exclusive! Formulated and made in Boulder by ‘the doctor’ himself (Mikl Brawner), from 99% pure Aloe Vera Gel, with cold-pressed, organic Rosehip Seed Oil; 100% pure Jojoba Oil, and 32,000 IU Vitamin E Oil, along with essential oils of Lavender, Vetiver, and Rose. That’s all. No alcohol, nothing synthetic, non-greasy. All the ingredients are natural plant products, chosen for their skin-healing qualities. 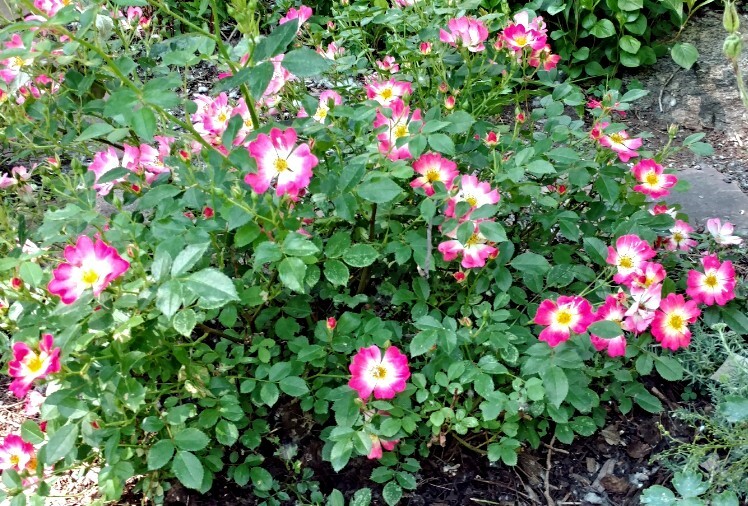 The steam-distilled Rose Oil is a powerful anti-viral and antiseptic. The other ingredients are good for healing burns and dry and damaged skin, inflammation, wrinkles. They are moisturizing and uplifting to the spirits. 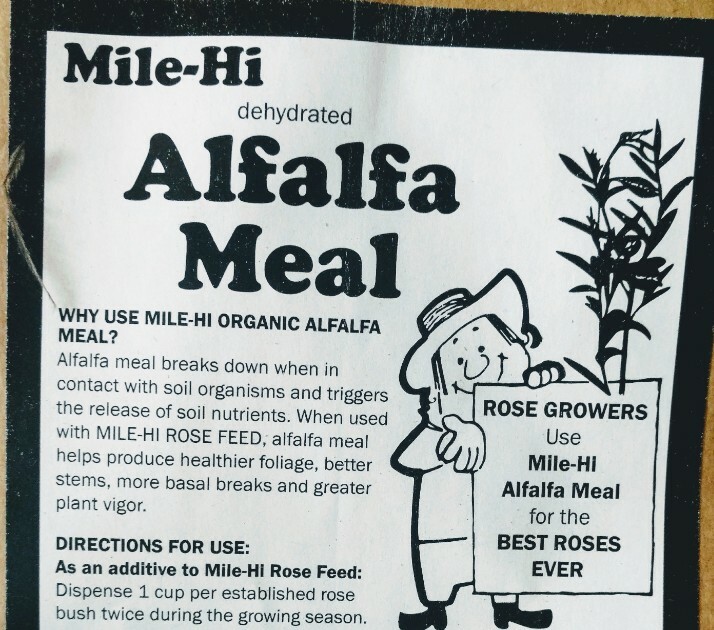 Mikl has made and used this formula for more than 10 years to heal his Irish skin from the abrasion of shaving and the drying effects of the Colorado sun (and keep him looking youthful and handsome!). And it smells wonderful! (and it’s not just for men). Dryland Wilds – Harlequin’s Exclusive! 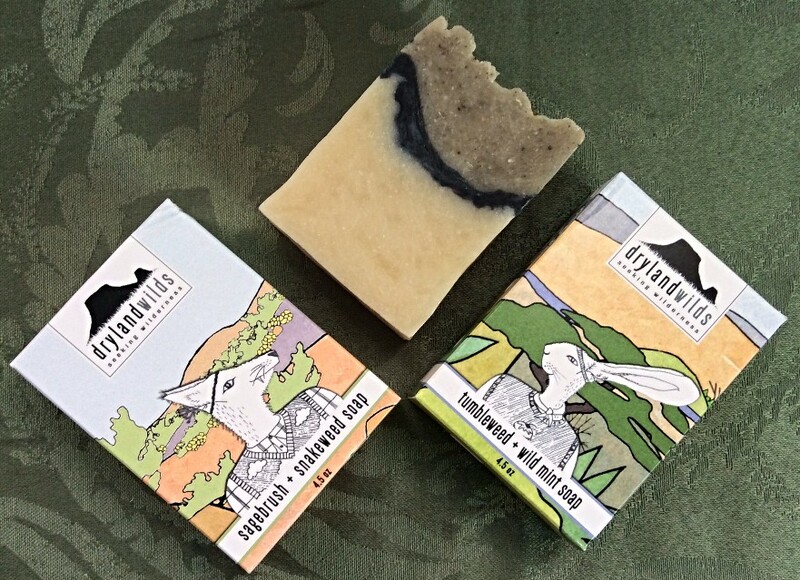 Dryland Wilds is a duo of young women of the northern New Mexico desert, hand-crafting quality cosmetics and skin-care products that are sustainable, low-waste and local. Their products are made from dryland plants, capturing the New Mexico desert’s real ‘scents of place’. They handcraft botanical soaps, balms, Pinyon incense, plant waters and oils in small batches with organic oils and handmade desert perfumes, with no artificial ingredients. Eve says “their Prickly Pear Lip Tint immediately became a staple in my facial care. I love the warm, natural color, the creamy texture, the fact that it lasts for hours, and that the oils used are all organic and skin-healing: olive, coconut, avocado and jojoba oils, beeswax, and wild-collected prickly pear seed oil”. It also happens to be fragrance-free. We’re also offering their irresistibly scented Chocolate Flower and Evening Primrose lip tints! WE LOVE the aromas of the desert southwest, and love using Dryland Wilds’ beautiful, handcrafted Sagebrush & Snakeweed soap. They describe it well: “The spicy clean herbal scent brings you to the top of New Mexico’s desert mesas where the wind smells of sagebrush, parched earth and sunshine. Sagebrush and comfrey leaves gently exfoliate, while kaolin and bentonite clay absorbs impurities and snakeweed soothes the skin.” This year we are adding their equally transporting Pinyon Woodsmoke soap. Also new this year, we’ll have a limited number of Beauty Oils in Evening Primrose scent and Sagebrush/Snakeweed scent, as well as their Sagebrush Plant Water, a spray that can be used to subtly scent a room, you clothing, hair or body with the uniquely exhilarating and archetypal aroma of the western drylands! Jen’s Body Butter – Harlequin’s Exclusive! Jen creates her Body Butter from all organics including shea and cocoa butters, coconut oil, lavender and orange essential oils. She purchases the ingredients locally from responsible world-wide sources. After showering, scoop some of Jen’s Body Butter and rub together between your hands and apply. Ideal for moisturizing the whole body. Kisu / Trementina – Harlequin’s Exclusive! 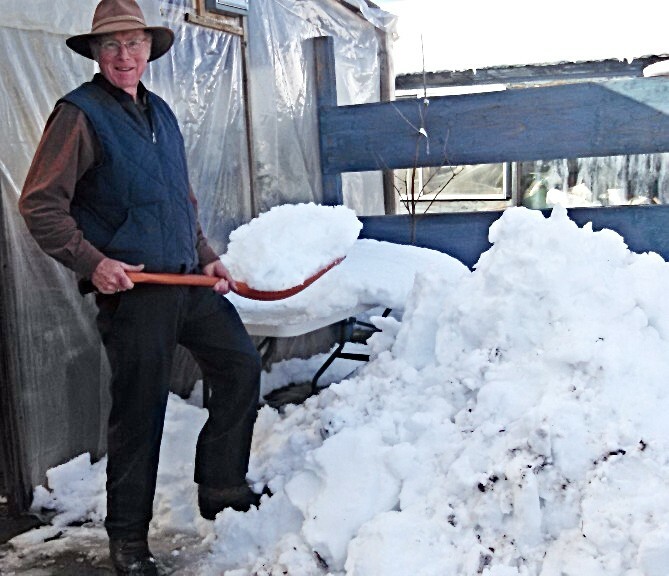 Our friends Carol and Jim Schott, who you may remember as founder of Haystack Mountain Goat Dairy of Niwot, have resettled over on the Western Slope and created Lamborn Mt. Farmstead on a mesa overlooking Paonia, CO in the North Fork Valley, an area known for its organic orchards, vegetable farms, and vineyards; Carol and Jim are helping to add lavender to that list. From the milk of their own goats and lavender from their fields, they make the most luxuriously creamy, moisturizing hand and body lotion and gentle aromatic soaps. We also offer their soaps in other scents, like Cedar Rose and Rosemary Lemon Mint, and calming & uplifting Lavender Hydrosol, and their lavender-infused teas. All their products are hand-made in small batches. Surely your holiday gift list includes at least one person who knits, crochets, spins or weaves! Yarn Balm is a ‘must-have’ stocking stuffer for just about any fiber artist! Jane Anderson is an experienced herbalist and an avid and expert knitter who knows what housework and gardening, and working with fiber can do to your hands, and how that rough skin makes it impossible to work with yarn. Yarn Balm is wonderfully moisturizing yet truly non-greasy, using organic, wildcrafted Argan Oil from Morocco. 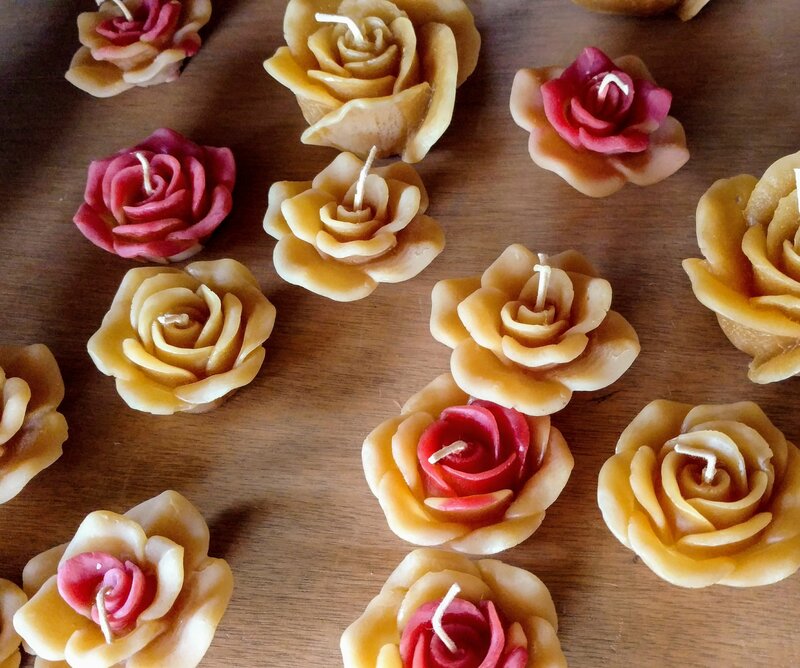 She uses only pure, natural ingredients, originating from plants, seeds, nuts or flowers, to hand-craft her products. Her paperboard tube packaging is both recycled and recyclable or compostable. PS: Yarn Balm is also great for cracked heels! We’re excited to share our very own Garima’s skin care products with you! They are hand-made in small batches from ingredients which are natural, recognizable, and ethically grown. She grows essentially all the herbs for her products in her own organic garden, and uses organic jojoba oil from Arizona, organic unrefined shea butter from Uganda, local organic honey and beeswax, and organic sunflower oil from California. Garima continues to hear from her customers and friends almost daily that using her products, their skin has never looked better, and has never felt so glowing and healthy. 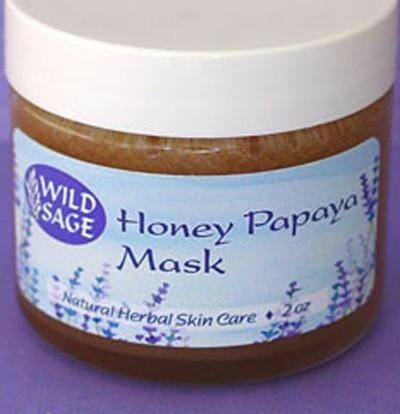 Formulated to benefit all skin types, Wild Sage products are gentle enough for those with allergy-prone or sensitive skin. Products include Rose Hazel Toner, Rose Geranium Face Lotion, Wild Cherry Rejuvenating Serum, Amazing Red Clay Mud, Healing Hand Cream, Echinacea Balm, Honey Papaya Mask, and Creamy Rose Cleanser. Kim Hindman is the everything at 10 Digit Press. 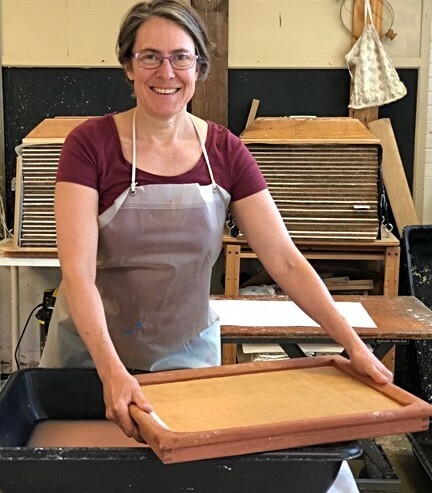 She has lived all things print for the last two decades, receiving both a BFA and MFA in Printmaking, and then going on to teaching Printmaking, Drawing, and Book Arts at the university level. When I saw Kim’s exquisitely drawn bee, insect and botanical images hand-printed on hand-dyed cotton tea towels, napkin sets, eye pillows, trivets, handbags, etc., I knew we had to share them with our Harlequin’s Holiday Gift Market customers! They are elegant, simple, perfectly crafted, practical and stylish, and we are so excited to bring them to you! 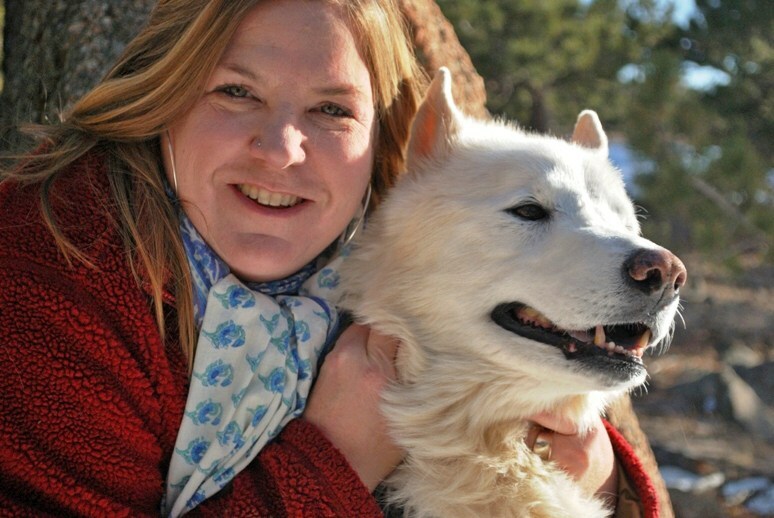 Kim now lives in Longmont, making prints in her home studio, raising little ones and gardening. 20# Tabby – Harlequin’s Exclusive! 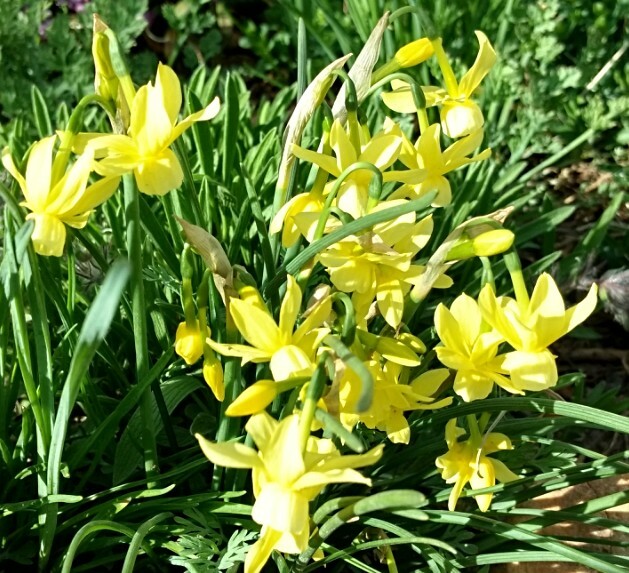 We’ve known Cheryl Netter for many years in the context of her expertise in Roses (she grows about 500 of them in her home garden), and Morris Dancing (Cheryl, husband and kids have all danced with the Maroon Bells Morris Dancers at our May Day Festivals). She is also a multi-talented craftswoman. 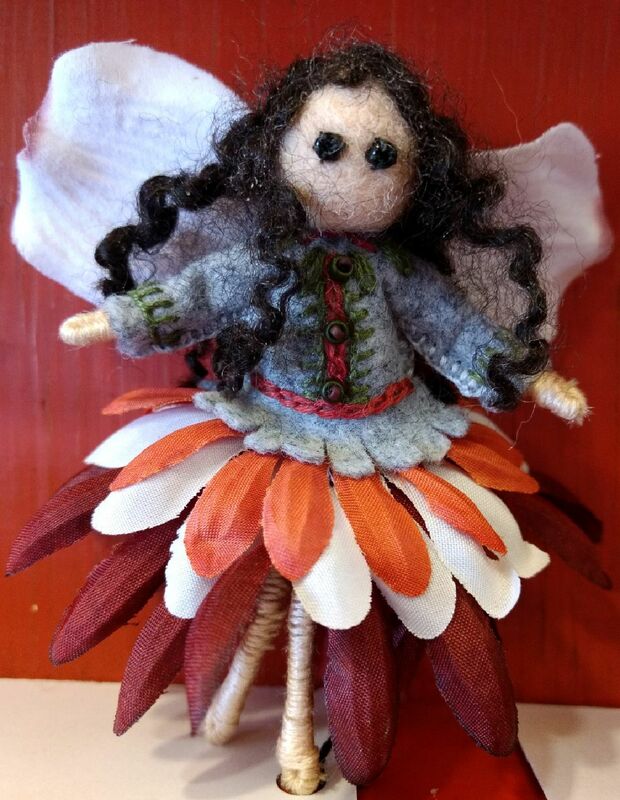 We’re carrying her dainty and very affordable Czech glass flower earrings and felted acorn earrings, intricate fairy ornaments, and whimsical needle-felted ornaments, all original designs, meticulously crafted. Because of the nature of the felting process, no two ornaments are ever exactly alike, which makes them all the more precious. 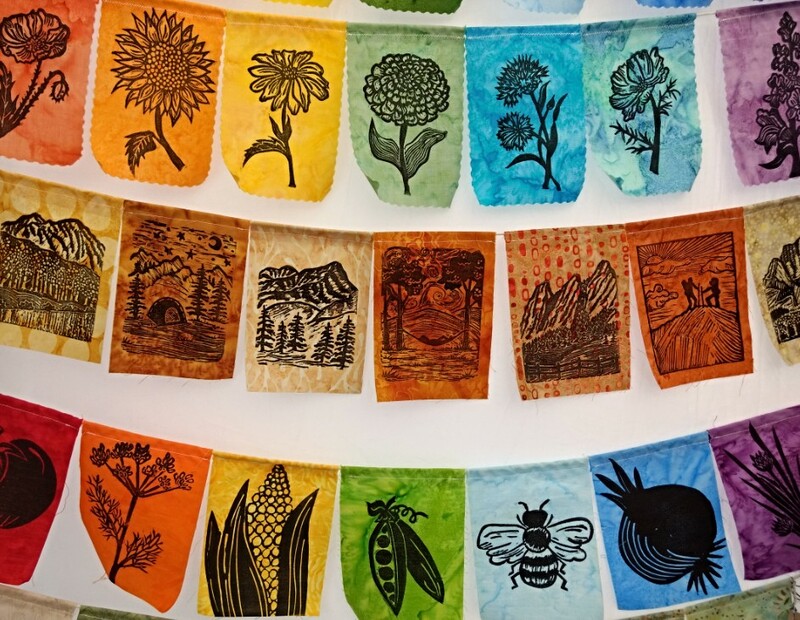 Jen Grant creates these cheerful and artful flags with her original designs – display your affection for wildflowers, bees, birds, etc. by garlanding a doorway, deck, porch, window or wall. Hand-made in Lafayette, CO. Inspired by Colorado’s wildlife and the outdoors, Amanda Maldonado makes delightful drawings of local animals in pen and ink. 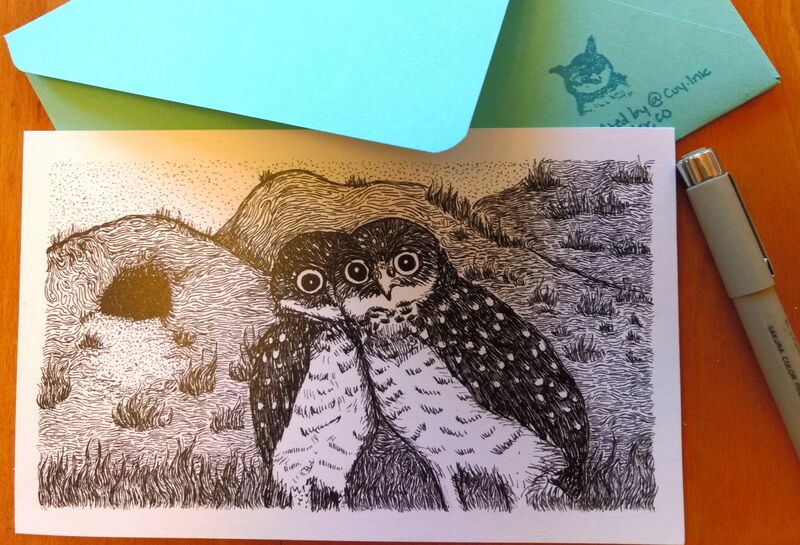 This year, we’re selling postcard prints of these fun, hand-illustrated critters. She is also providing her own hand-made envelopes to go with the postcards. Amanda was raised in N. Carolina, but has fallen in love with her adopted home here in the hills of Boulder. She is passionate about the Boulder Public Library, writing snail mail, and her cat, Fiasco. Follow her on Instagram (@Coy.Ink) to keep up to date with her most recent drawings. Our friend Clark and his family have turned what used to be a hobby into a full-time business. 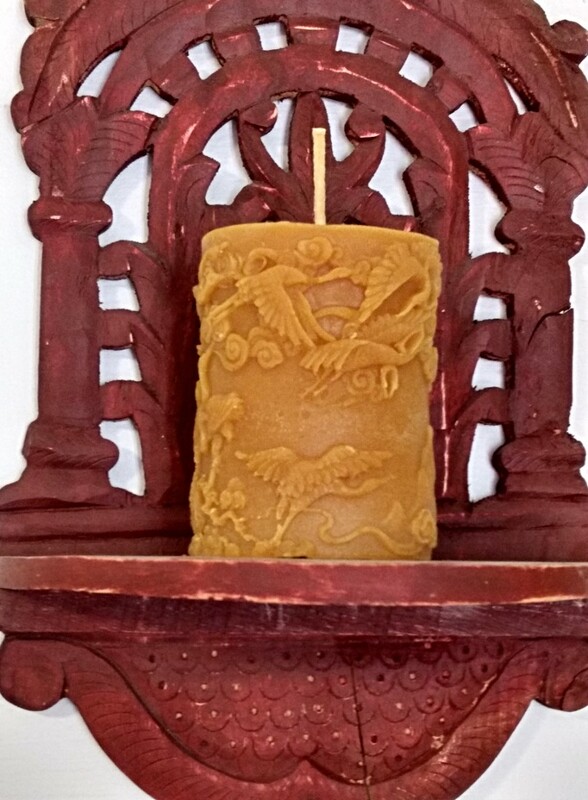 In their Longmont studio, they make delightful cast beeswax candles that come in a variety of shapes and sizes, including several designs that are based on traditional European holiday season candle molds. These candles are highly decorative, wonderfully detailed, naturally endowed with a heavenly honey scent, and burn clean and smokeless. Angelo Ambrosia (yes, that’s his wonderful real name! ), opened Ambrosia Glass Art Studio in Longmont in 2004, and he’s been creating one-of-a-kind hand-blown glass sculptures and vessels ever since. He also teaches glassblowing there, and guides his pupils with gentle and patient expertise. Angelo is renowned for his colorfully patterned vessels and light fixtures, ranging from playful to sophisticated. We are delighted to offer some of his small pieces for the gift-giving season. Amy Mundinger of Pine Tree Studios is truly a gifted craftswoman, with a keen eye for color and design, and well-honed skills in fiber arts from crochet to embroidery on upcycled felt, and free-motion quilting with hand-dyed 100% cotton fabrics. And now that her children are grown she is able to share some of her wonderful work with us! 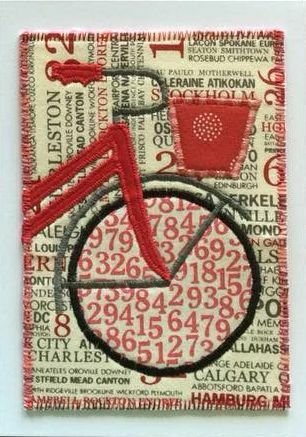 Each of her original fabric applique art cards is an individually handmade small work of art. Hand-dyed cotton fabrics often mixed with modern prints and batiks, give these cards a vibrant punch. Her lively ornaments, made with upcycled felt over antique spindles, feature charming foxes and owls. Sculptor Arabella Tattershall works from her studio in Erie Colorado. Formerly a designer and maker of garments, she now pursues her passion and expression in the art of welding. Inspired by the human form and forms in Nature, her lyrical sculptures are created from cut, hammered & shaped steel leaves and various mixed metals. Arabella is fascinated with the idea of bending, shaping, weaving, riveting, sewing and welding mixed metals, and continues to explore these combinations of construction with hopes of telling the viewer a story…of line, shape, balance and possibility. We are thrilled to offer some of her smaller pieces for garden and home! We are very excited to introduce Marie Foucault-Phipps’ stunning, intriguing, and elegant glass tableware! I came upon her work last winter and found it entirely unlike anything I had seen before. Using a technique that dates as far back as the 9th century (Turkey), Marie paints her original designs with ‘Silver Stain’ (silver oxide) on clear glass pieces. They are then fired in a kiln and emerge with a rich and exciting color palette ranging from yellows and golds to deep coppery oranges, and molten reds! She describes it as “a wild medium, not reliable, and always surprising” and says she enjoys “exploiting its freedom”. You will love her tableware and garden lanterns! Marie studied Stained Glass Conservation in Paris and became an accomplished conservator of historical stained-glass art across France and the U.S. In 1884 she relocated to the U.S. (New York, then Colorado). An accomplished glass painter, Marie freelanced for other studios while working on her own exhibition glass. She has exhibited around the world with the Women’s International Glass Workshop to places such as Japan, Ireland, New Zealand, Canada, Australia, Wales, France, and Golden, Colorado! Diane’s Temari – Harlequin’s Exclusive! 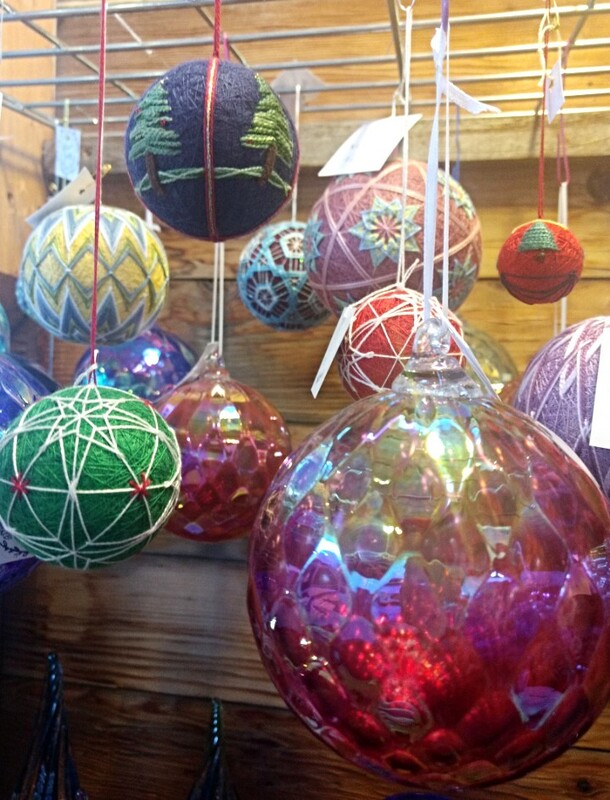 Our customer and friend Diane Patterson makes these wonderful ornaments, called Temari, which date back to ancient Japan, where Temari was originally a handcraft of upper class women. 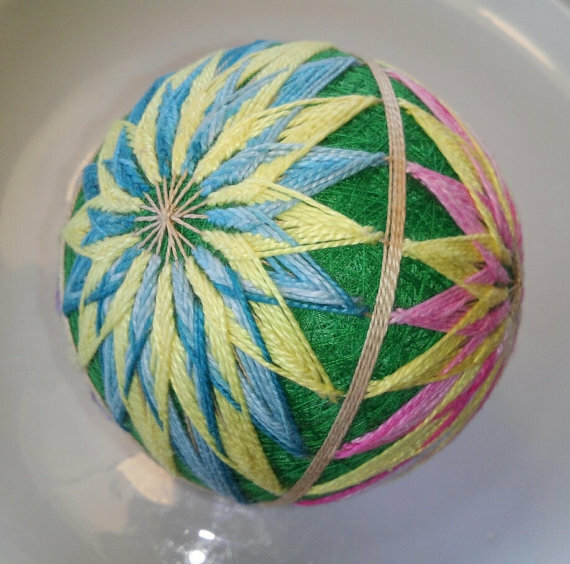 Intricate designs were embroidered on handmade balls using silk threads from kimonos. The balls were used as toys. Temari are unique, beautiful, colorful gifts. 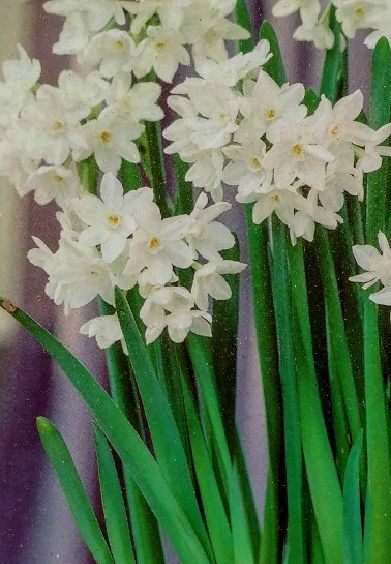 Attractive hanging as a single ornament, grouped in a bowl, used in a centerpiece, given as a housewarming gift, or simply to hold and admire, they will be treasured for many years. 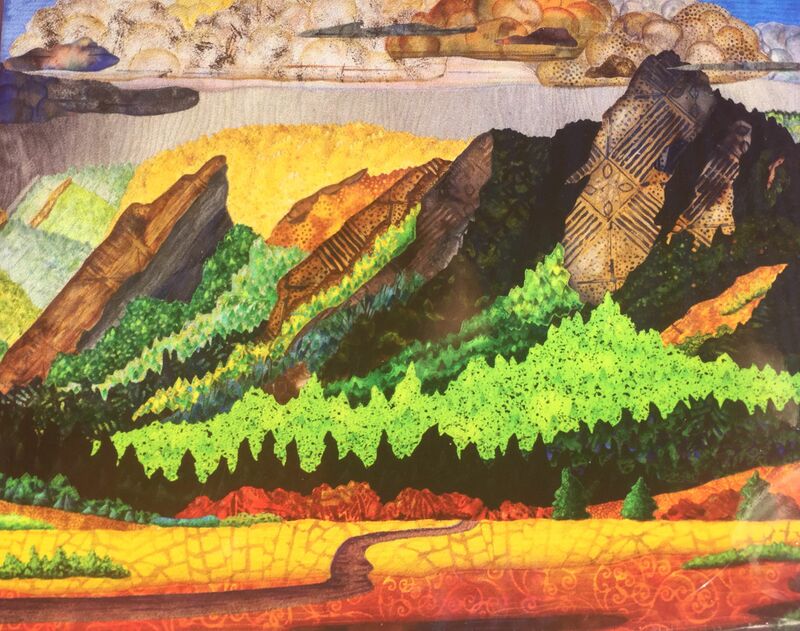 Nationally known fiber artist, Annette Kennedy from Longmont, has been creating her award-winning quilt art since 2003, with her award-winning pieces in the National Quilt Museum and in private collections around the country. These artful magnets and coasters are images of her art quilts that will bring the spark of inspiration wherever they are placed. They are durable and easy to wipe clean when needed. 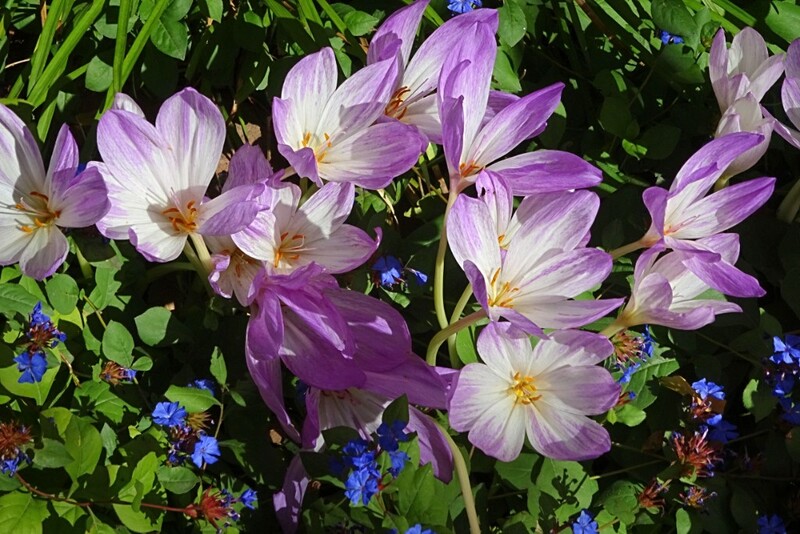 Nature is Annette’s focus, with flowers, plants and landscapes being the central theme in her work. 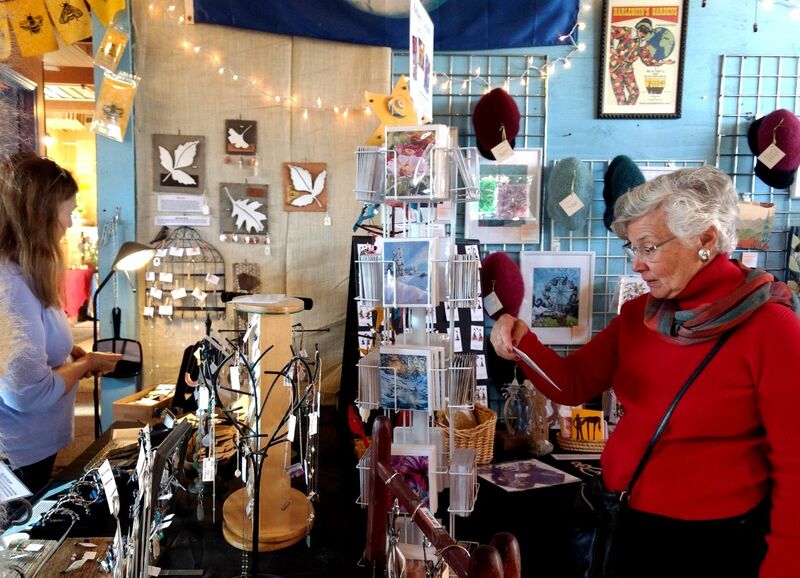 Artisan Renée McDougall of Longmont became interested in crafting with glass while working at the Stained Glass Supply Company. She works mostly in fused glass, a process that can take up to 11 hours from start to finish. 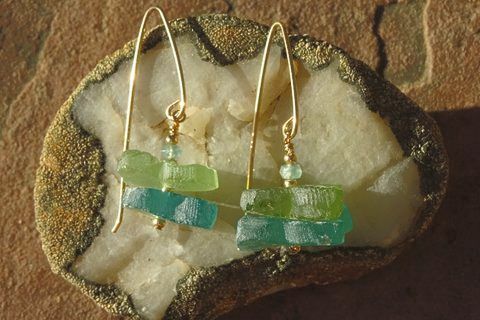 Renée uses her home studio for crafting many different glass pieces, from jewelry to bowls and hanging art. We think her cast glass hanging Green Man faces will make a lovely addition to any gardener’s window or porch. Erin Huybrechts Davis says she has been a painter for as long as she can remember. She grew up on the east coast, has her degree in painting and printmaking, and a masters degree in education. 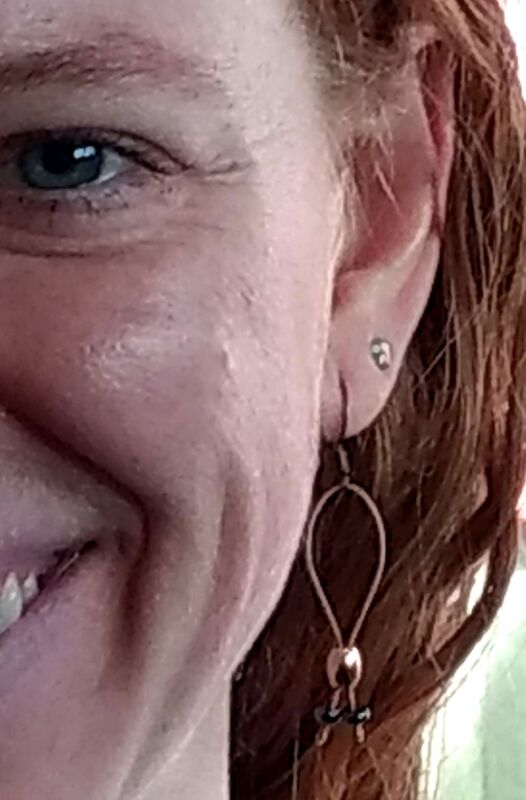 She now lives here in Longmont, CO, where she is a freelance illustrator and teaches art to young people. We were struck by her flowing, stylized and poetic depictions of the natural world. She is inspired by patterns and imagery from Asia, where she has traveled, and this influence is evident in her work as well. We are delighted to offer Erin’s cards, prints, and original paintings again this year! 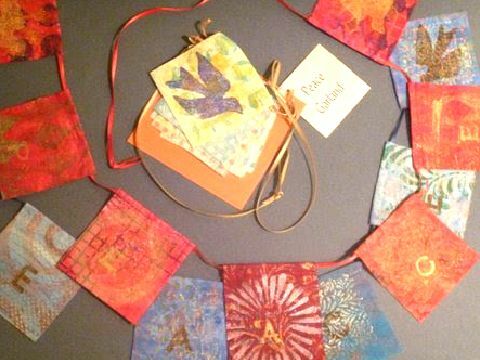 Come learn more about crafting with paper on Saturday, December 1st starting at 10:30 am, when Helen will walk participants through a paper craft project. Back by popular demand! 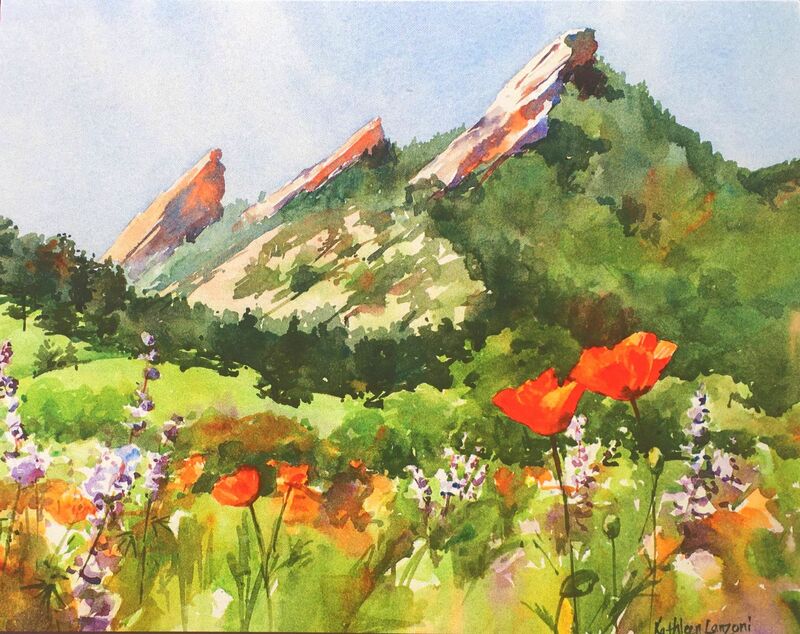 Notecards of vibrant paintings by renowned Boulder watercolor artist and muralist Kathleen Lanzoni feature local landscapes and floral subjects. This year Kathleen will also offer some of her giclee prints and several original paintings. Kathleen has been the recipient of numerous awards, especially for her plein air paintings (painted from life on-site, not in the studio). She is also a wonderful painting teacher and mentor. Kelly Manley – Harlequin’s Exclusive! Kelly is a font of creativity: writer, singer, painter, and more. This year, Kelly has been able to devote a lot of time to honing her skills in a life-long passion, pastel painting, and we reap the benefits! 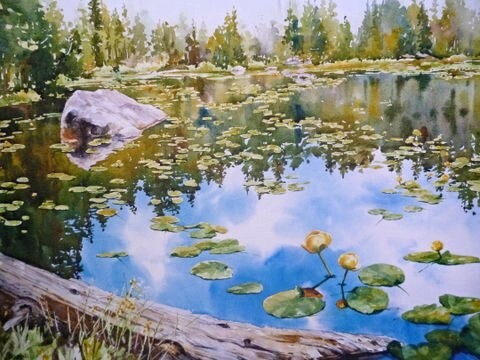 We offer some of her smaller pieces, mostly local Boulder County landscapes. We love using Khala cloths, the original Beeswax Wraps in the US. They are the creation of Asa and Tamar McKee, who now reside in Boulder, where they produce their environmentally responsible alternatives to plastic wrap and plastic bags. Khala Cloths can be used to cover and seal a bowl of left-overs, and make the best wrapping for keeping cheeses, breads and vegetables fresh longer. Every Khala Cloth comes in zero waste packaging. For example, the toppers are made from post-consumer recycled paper. Everything else – from the wax paper bag to the staple – are either biodegradable or recyclable. The fabric used to construct a Khala Cloth is organic cotton and hemp grown in North America, and is certified by the Global Organic Textile Standards. No bleaching, no chemicals. They are a Zero Waste Company, which means their goal is to produce Zero Garbage. In the last three years of production all of their waste fit into a 5 gallon bucket. Khala Cloths will have a long life (several years) when properly cared for. Shari Moraga is practically our neighbor in Boulder. She calls her work ‘illustrations in thread’. She uses her sewing machine to ‘draw’ and ‘paint’ her light-hearted illustrations of vegetables, honeybees and hives, bicycles and more, on sturdy cotton tea towels, aprons for gardeners and cooks, napkin sets and zipper bags. Lois is a longtime member of the Boulder Potters Guild. She has been exploring techniques with clay for many years and has developed a style that is both earthy and charming. This year we feature her new porcelain wares as well as Lois’s elegant hand-made embossed greeting cards and holiday tree ornaments. 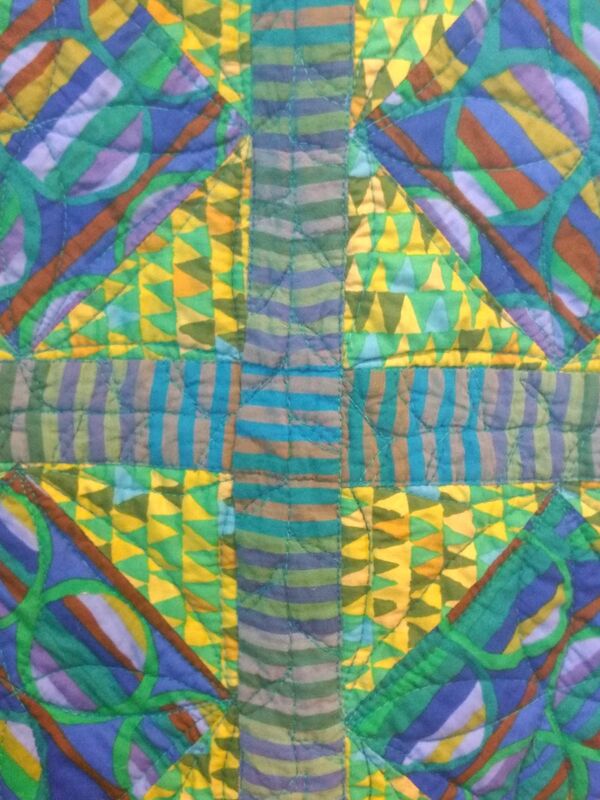 Lynn Mattingly Quilts – Harlequin’s Exclusive! 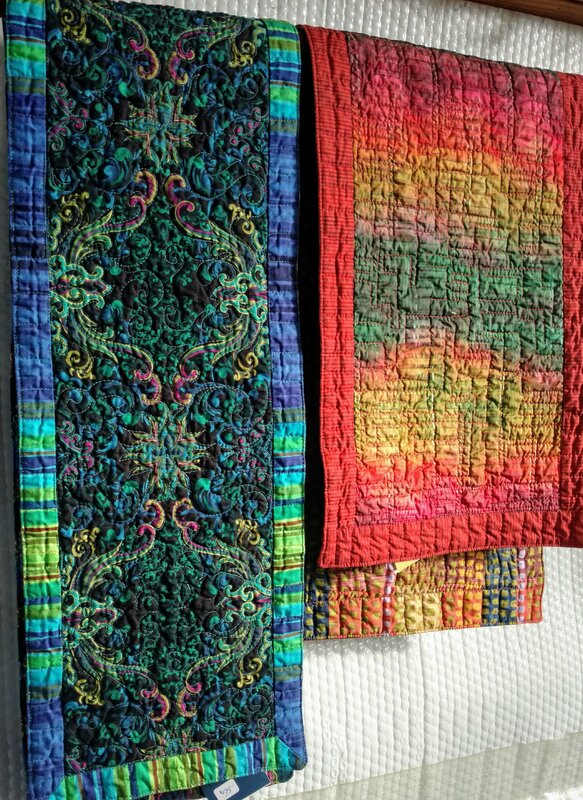 We are pleased to offer Lynn Mattingly’s brilliant quilted pot holders, table runners, baby quilts, peace garlands, and eyeglass cases. Sturdy and machine-washable, they are not only gorgeous but also practical. Lynn lives and quilts in beautiful Paonia,CO. 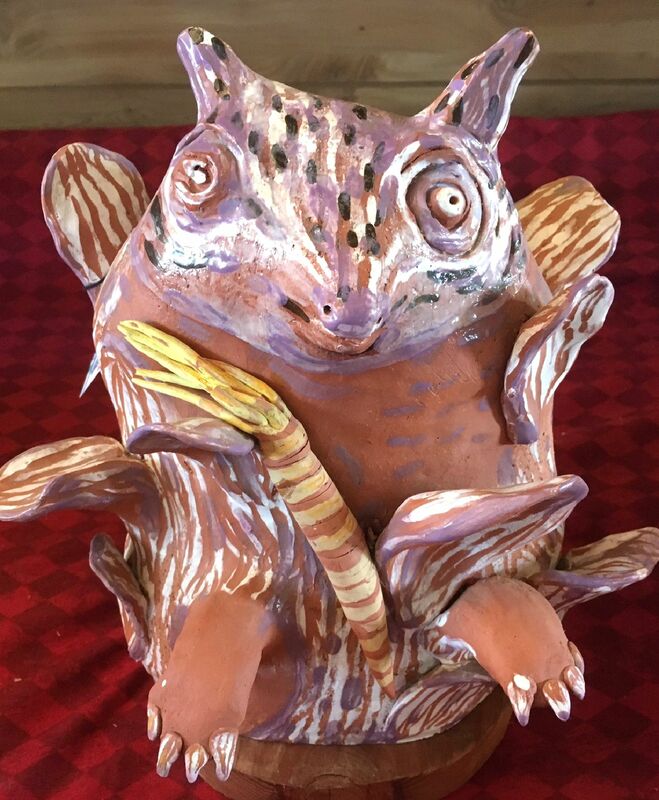 Boulder clay artist Mary Lynn Schumacher makes almost mythical forms and figures that evoke stories, animated with delight and imagination. She is an acclaimed artist who has been making functional and sculptural objects in clay for over 30 years, and is a long-time member of the Boulder Potter’s Guild. 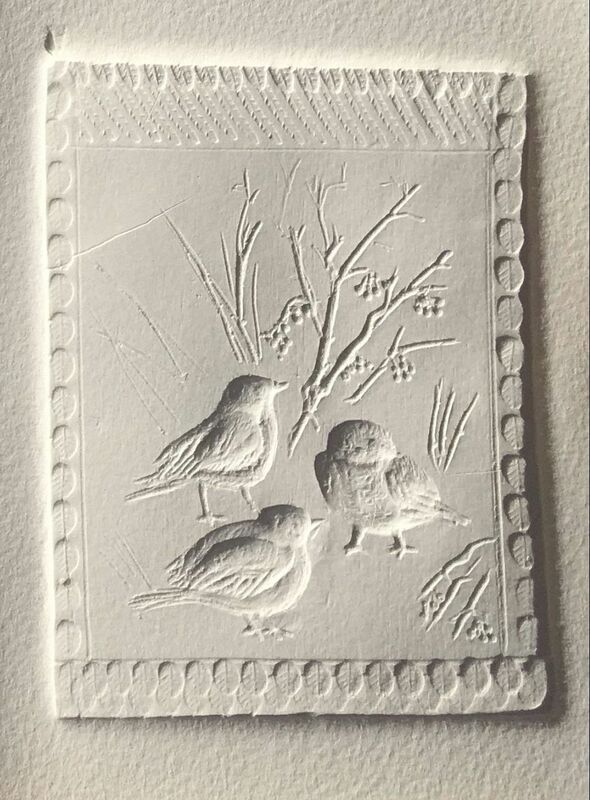 This year we are offering Mary Lynn’s wall-mounted pieces for home or garden, relief tiles and other small pieces. Our own Mimi Yanus is not only an expert gardener, she also sews whimsical bags from old blue jeans. 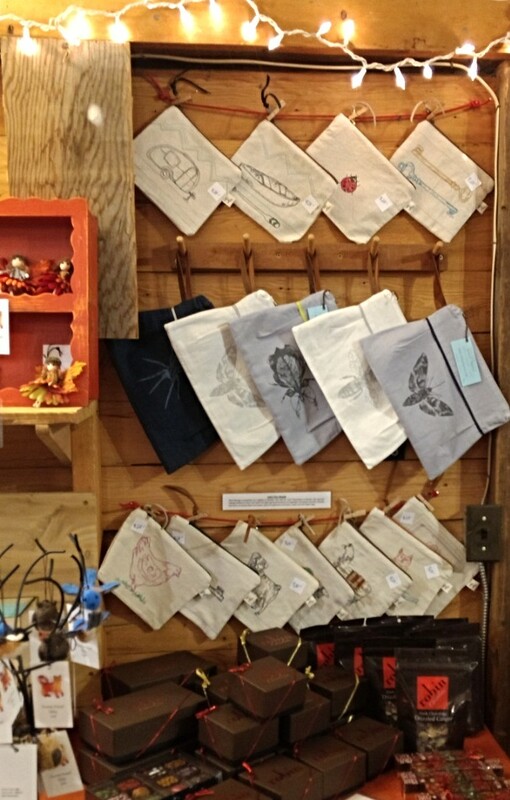 Come see the variety of casual bags that Mimi has created! 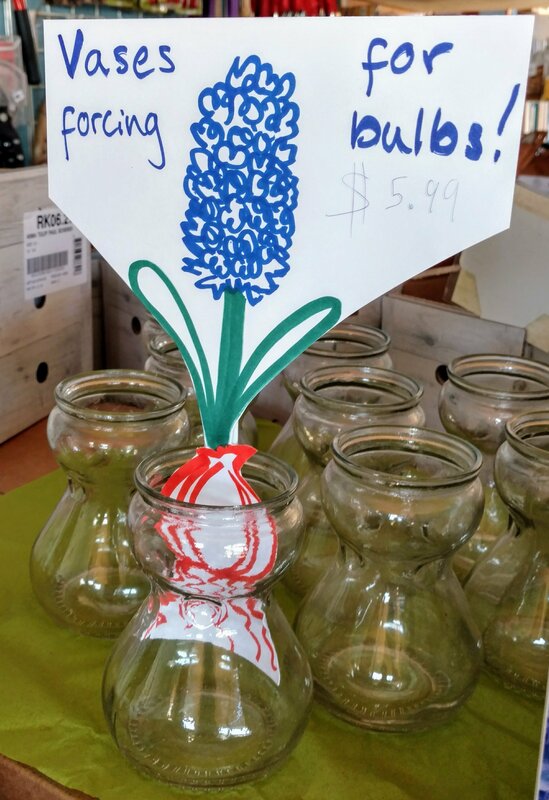 For decades, our friend Tom Theobold of Niwot Honey Farm has been nurturing bees, harvesting honey, and crafting the finest, most elegant, romantic, hand-dipped taper candles you’ll find anywhere. 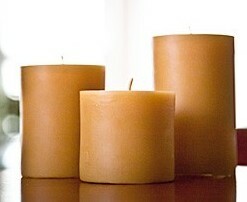 They are naturally dripless and smokeless, and infuse the room with the gentle, warm fragrance of honey. 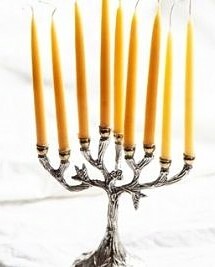 They go perfectly with our Traditional Majolica candle holders. Available in pairs, either clear-wrapped or gift boxed. Smudge Sticks – Harlequin’s Exclusive! 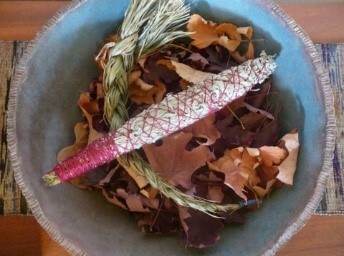 Made with reverence, skill and healing intention by our friend Furry Foote, the elder who lives in the foothills, these traditional Native American smudge sticks are finely crafted of aromatic herbs (mostly natives) grown in her own organic garden. Each herb is included for its specific medicinal and/or spiritual qualities: purifying, giving thanks, cleansing, infection-fighting, head-ache relief, etc. Very limited quantities available. We are fortunate that Theresa Haberkorn, woodcut printmaker, has made Boulder her home for two decades. Her masterful woodcut prints are found in exhibits and collections nation-wide, and she teaches her artform as well. 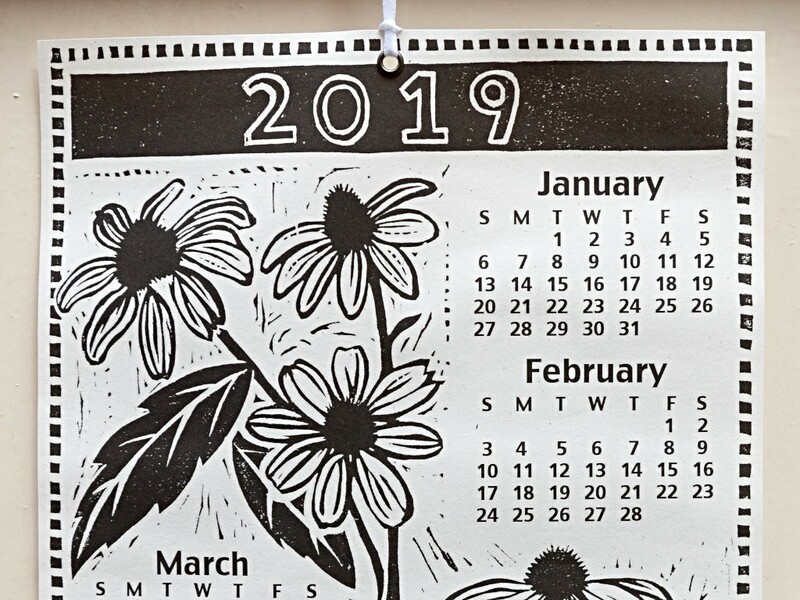 Theresa brings her art to household items as well, hand-crafting a collection of beautiful block-printed cotton tea towels, handmade journals, a charming wall calendar and an assortment of cards. 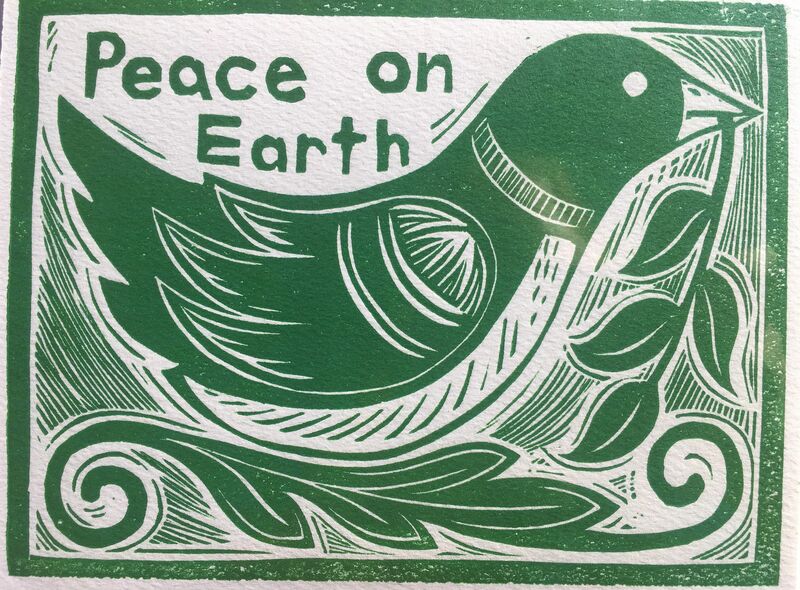 To find out more about the process of woodcut printing, visit Theresa Haberkorn. Our friends Thea Tenenbaum and Raffaele Malferrari are well known around Boulder and beyond for their charming tradition-based Italian majolica pottery. Majolica is a process requiring multiple firings and great skill with the paintbrush. 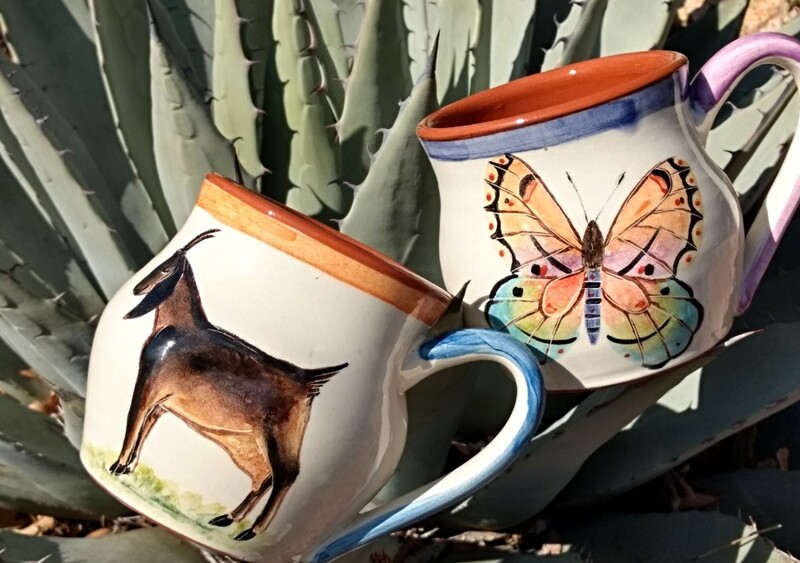 Their exquisitely detailed mugs depicting local animals, birds and insects will delight anyone lucky enough to receive them, as will their pairs of bee-motif candleholders (made to fit the hand-dipped Niwot Honey Farm beeswax tapers), and Thea’s dessert bowls! 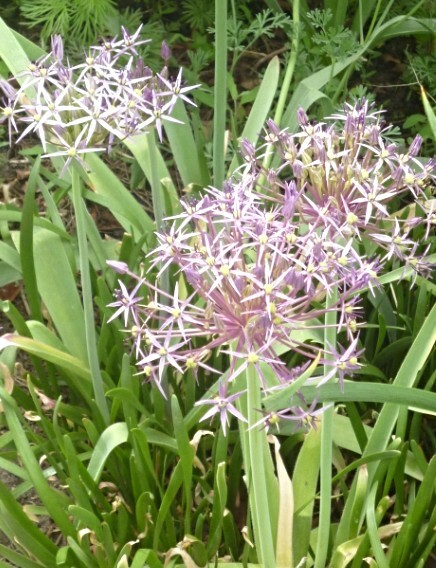 Some of you might know WeeBee Farms for the beautiful, organically grown garlic they produce right here in Boulder. The owner, Karen Beeman, is also a great photographer! 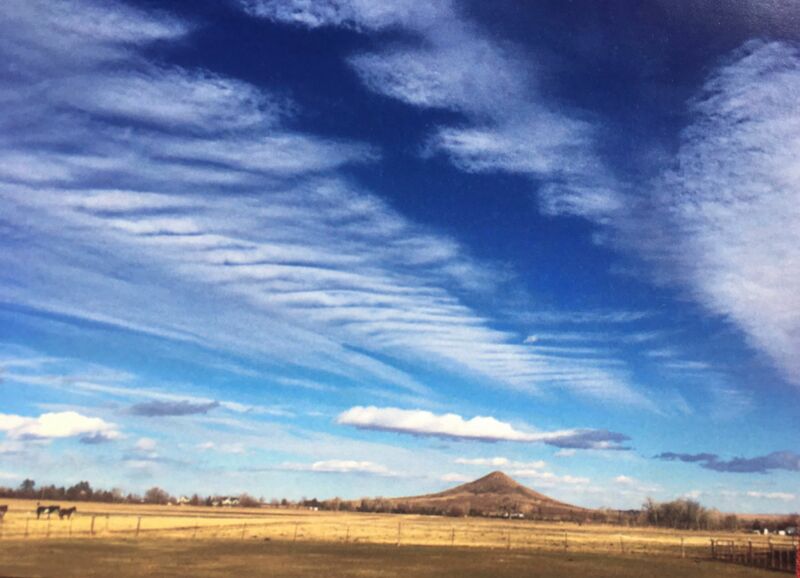 Karen loves to share the beauty she sees at her farm and around Boulder County. She carries her camera everywhere and focuses on pollinators and their favorite colorful flowers. We are carrying her stunning photo cards and notebooks. A fusion of whimsy, gesture, pattern, texture and patina characterizes Willi Eggerman’s works in clay, which she conceives as functional sculpture – useful pieces with enough presence to stand alone as objects of aesthetic interest for contemplation. To make her organic, botanically inspired porcelain pieces, she employs a wide variety of techniques. “The seed pod has special appeal to me as a symbol of women, and specifically motherhood. I view seed pods as small sculptures, performance art even, as they form, swell, open, and eventually disintegrate. They are beautiful, strong, and very practical in getting their job accomplished.” A long-time member of the Boulder Potter’s Guild, Willi’s work is admired and acclaimed throughout the region. We are offering a limited number of Willi’s Ikebana ‘pods’, perfect for small, informal floral specimens or mini-bouquets, and her wonderful salt-fired textural ‘Cactus’ mugs. These beautiful dark green wreaths with silver color on the underside are made at Nick’s Garden Center in Aurora. We bring them back and decorate them ourselves, using decorative plants, pinecones and compostable ribbon. You can also get a plain one and decorate it yourself! We are offering them in 14” and 16” sizes. 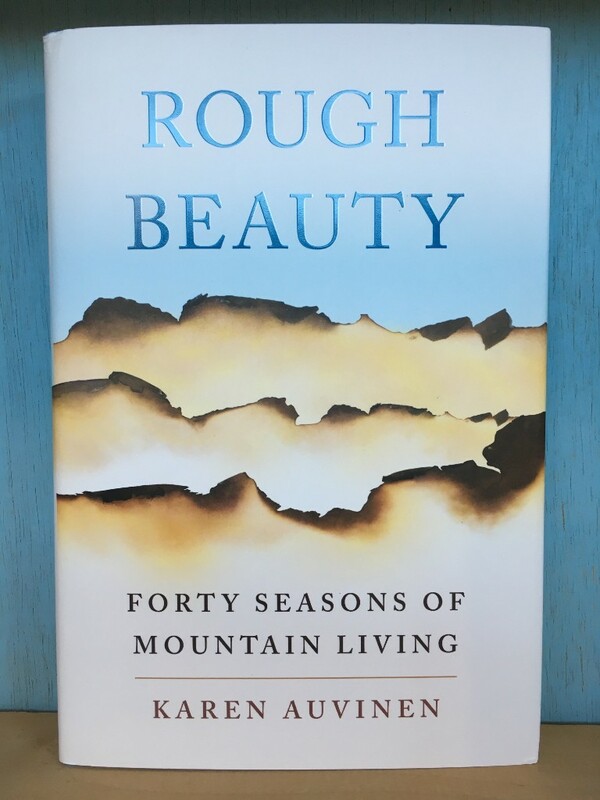 We are proud to feature ‘Rough Beauty: Forty Seasons of Mountain Living’ by friend and local author Karen Auvinen, an award-winning poet, mountain woman, and teacher. Her memoir, in the evocative, contemplative spirit of such writers as Annie Dillard and Terry Tempest Williams is an “outstanding…beautiful story of resilience” (Kirkus Reviews, starred review), a luminous, lyric exploration, “a narrative that reads like a captivating novel…a voice not found often enough in literature—a woman who eschews the prescribed role outlined for her by her family and discovers her own path” (Christian Science Monitor) to embrace the unpredictability and grace of living intimately with the forces of nature. 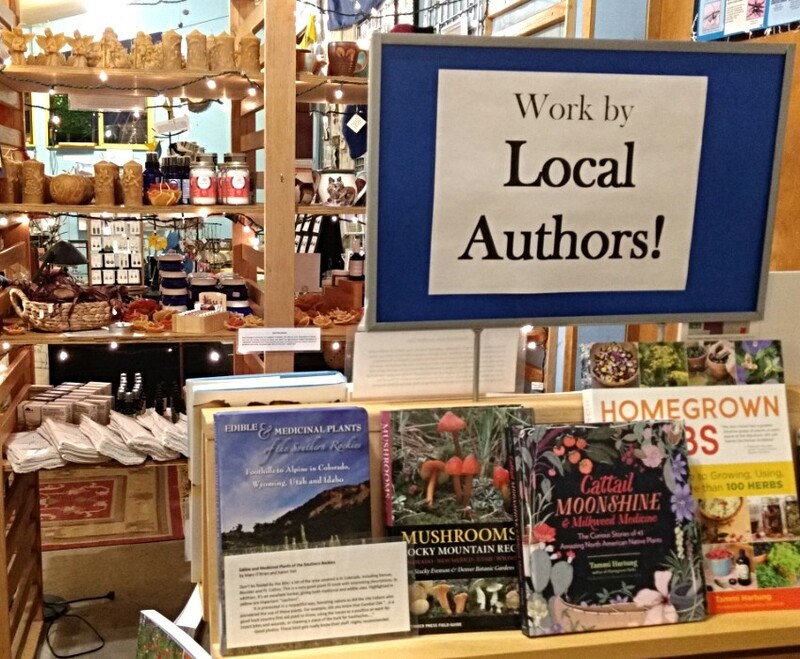 Join Karen Saturday afternoon, December 1 for a book signing! Exact time to be announced. 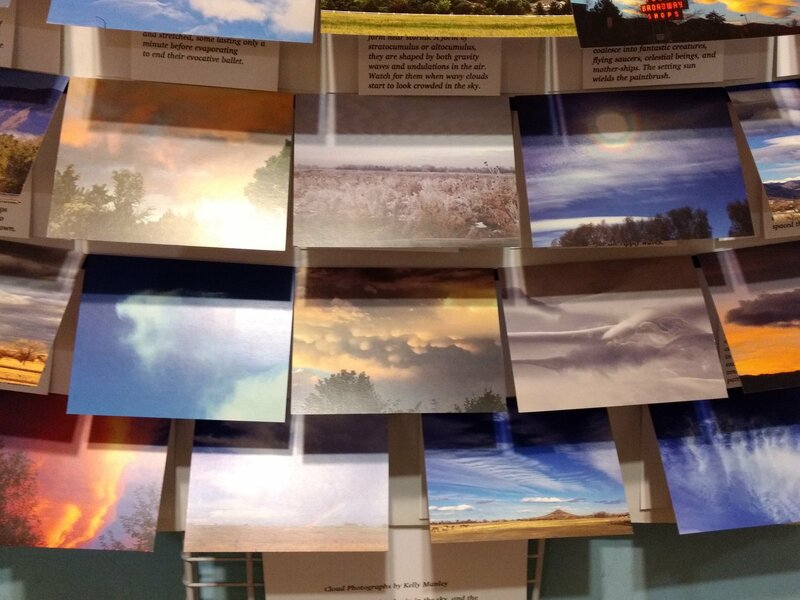 Mark Andreas, a Life-Coach in Boulder, collected these 61 true stories of creative and compassionate ways out of conflict. Each story is unique in the resourceful and often surprising solutions that real people have found to change a fearful or threatening encounter into a humanizing connection. Not moralistic, and genuinely eye-opening, heart-opening and inspiring. It makes a wonderful gift that can be opened again and again. This excellent read was a big hit at our holiday gift market last year. 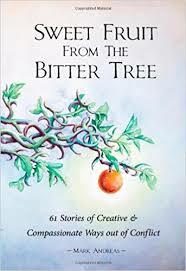 Sweet Fruit from the Bitter Tree is strongly endorsed by Dan Millman (author of Way of the Peaceful Warrior), William Ury (author of Getting to Yes), and Eve & Mikl Brawner. Children have a lively interest in the natural world. They love vivid pictures, but they are bored if we dumb it down for them. We offer children’s books that are fascinating even for adults, full of in-depth science, but graphic and fun—many with projects and activities that make facts real. Also great story books, beautifully and cleverly told and illustrated. In addition, we have youth orientated interactive items that put kids in touch with nature and teach about nature and natural history. Come in to see our selection! At 30 years old, The Boulder Irish Session is a Boulder ‘institution’ and is still going strong. They are an informal, dynamic gathering of top-notch Front Range musicians who have come together for more than 30 years on Sunday evenings in downtown Boulder to share tunes and songs of the Celtic tradition. After the closure of Conor O’Niell’s Pub, where they played for 18 years, they are happy to have found a great new home one block away at License #1, downstairs in the Hotel Boulderado (every Sunday night from 7pm). Our most exciting local Celtic music band, featuring Jesse Burns, Jon Sousa, Eric Turin, Adam Agee and Beth Gadbaw, recorded live in concert in Lyons. Jon’s albums include Ceol na gCarad (his latest duo CD with Adam Agee), Suantrai (duo CD with Adam Agee and Jon Sousa), Twilight (Jon Sousa solo), Take Down the Door (pictured), and Canyon Sunrise (Andy Reiner & Jon Sousa). Margot is one of the region’s finest and most versatile harpists. Her fresh, innovative approach, passion and virtuosity have won her numerous awards. Her most recent CD, Black Rose, features Margot on the harp and vocals, along with Beth Gadbaw’s exquisite vocals, Beth Harmon on the fiddle and Eric Olson on the uilean pipes and whistle. 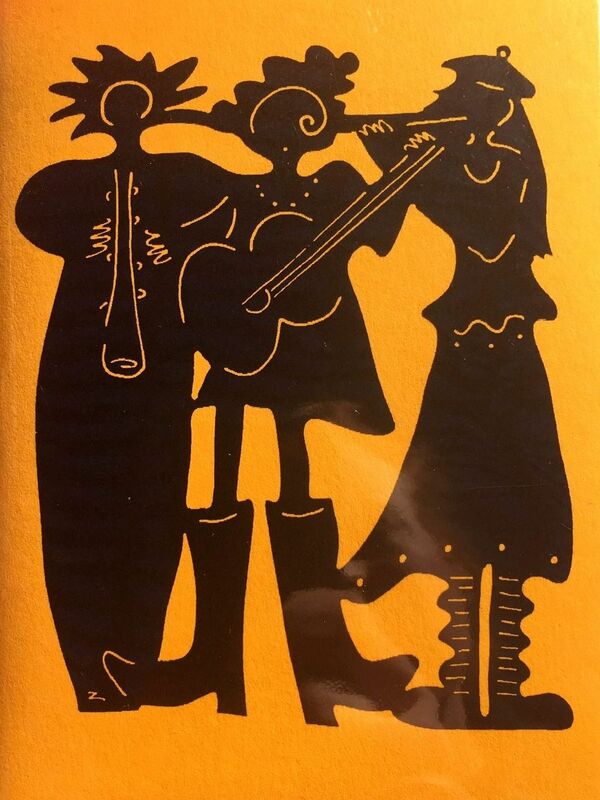 This CD was recorded LIVE at the Black Rose Acoustic Society in Black Forest, Colorado. 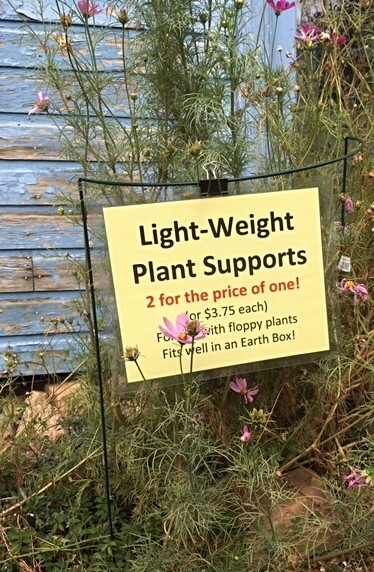 BBB is a great local seed company, offering wildflower mixes (Rocky Mtn. natives), and flower seed mixes for supporting honey bees and wild bees and other wild flower seed mixes perfect for gifts or holiday party favors. Whether you’re a new or continuing beekeeper, our staff beekeepers can answer questions and give advice. You’ll find our prices are quite reasonable. We have Beekeepers Shopping Lists for Beginners, Seasonal, and Holiday Gift Giving to help guide your selections. 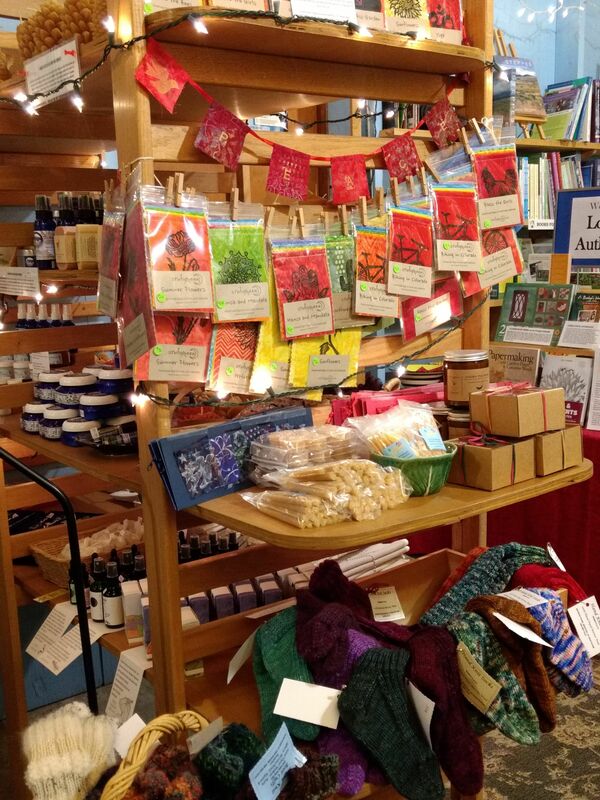 Kristina Williams, our own local bee expert will be on hand on Dec 16, 23, and 24 to help tailor your bee-gifting. The Front Range is home to over 500 species of native bees. These mostly solitary bees did ALL of the bee pollinating before the introduction of honey bees from Europe in the 1600s. They love our weather, soils and native plants. And we love them! 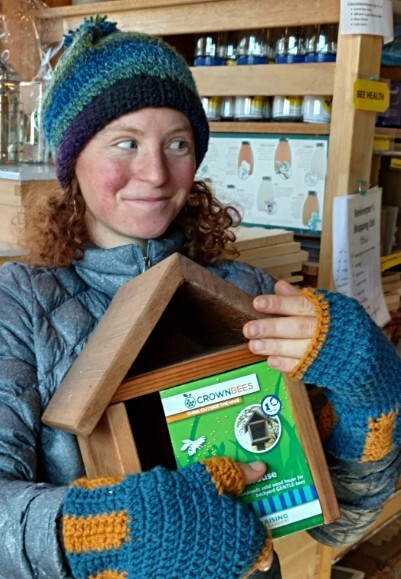 We’ve partnered with Crown Bees to bring you a selection of products to help you culture these gentle hole nesting bees such as woolcarder, mason, and leafcutter bees using responsible, sustainable, clean culture methods. In spring we’ll be partnering again with Tom Theobald, a local mason bee cultivator, with bees that are absolutely locally adapted and won’t introduce diseases from other parts of the country. Here are some great gift options in order of the pictures. 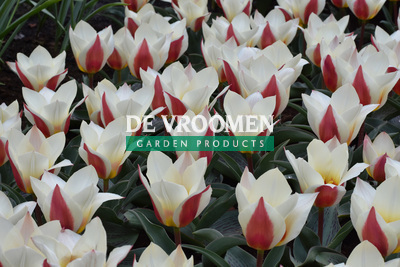 Bulbs, Outdoor – 40% off! 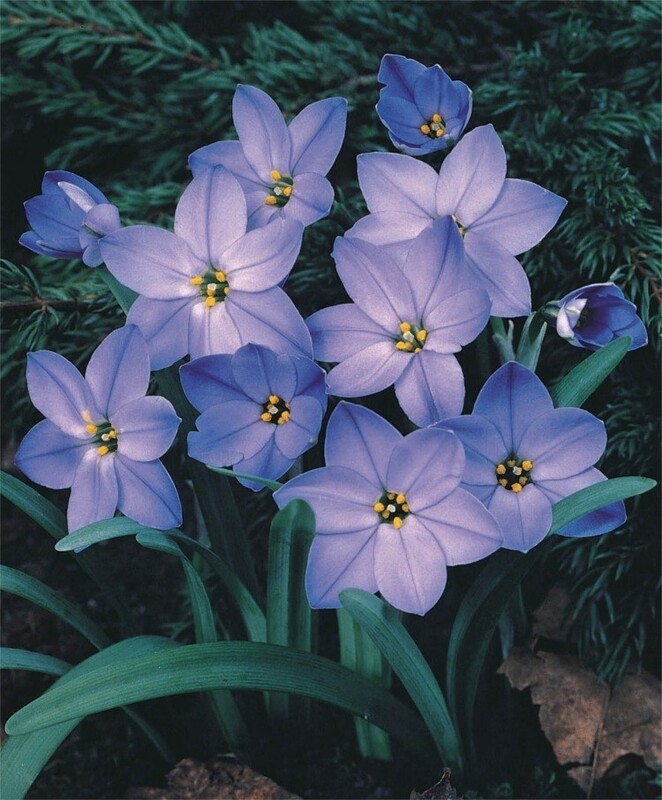 We still have species tulips, Narcissus, Crocus, Alliums, Galanthus elwesii (snowdrops), Chionodoxa forbesii, dwarf iris, and Anemone , plus drought-tolerant flowering onions! 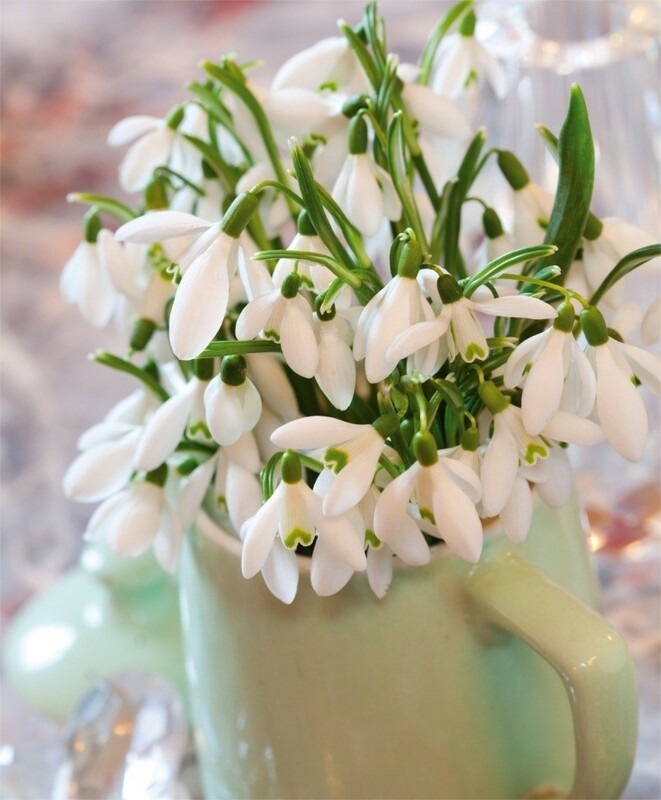 Yes, you can still plant them, as long as your soil is not yet frozen. 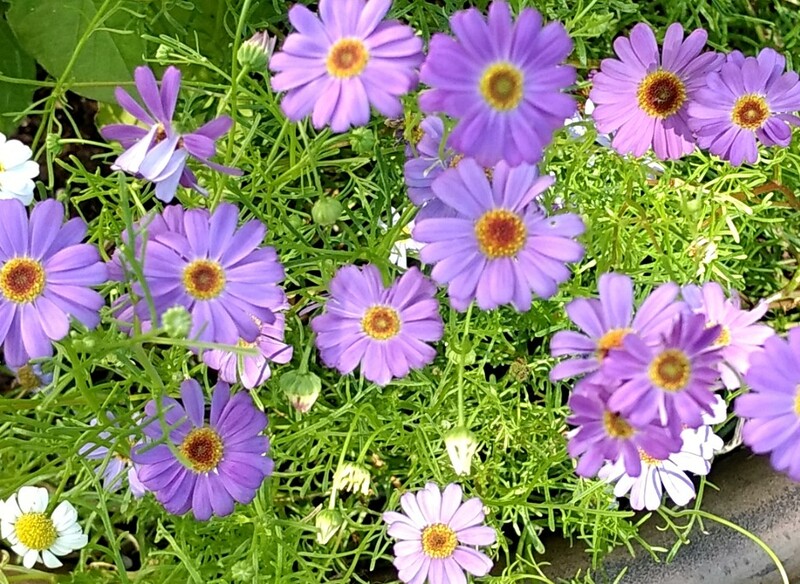 Or you can force them in pots – they will cheer you up in late winter! Some of them are fragrant, too. 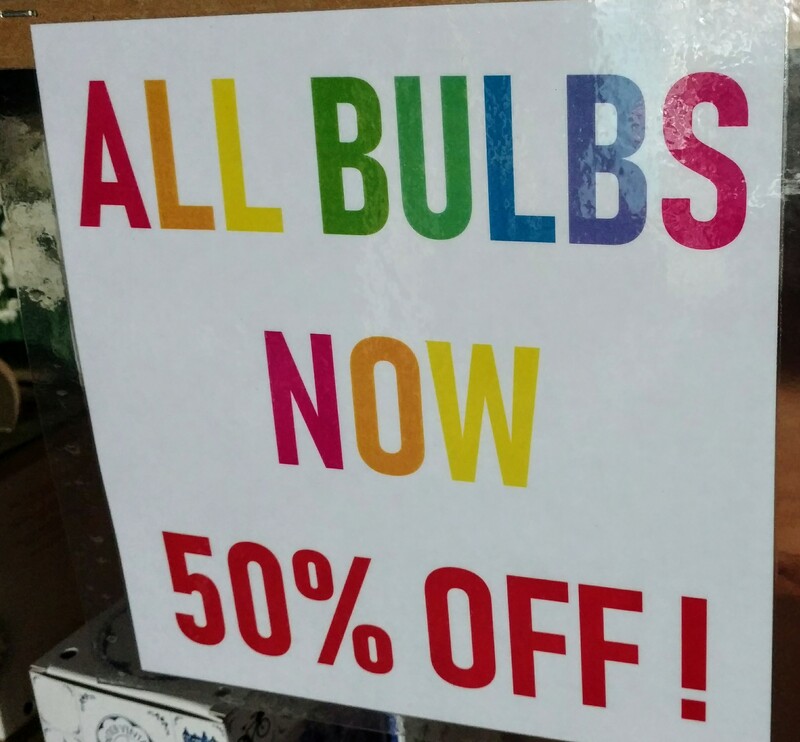 These great bulbs are a whopping 40% off their original price! 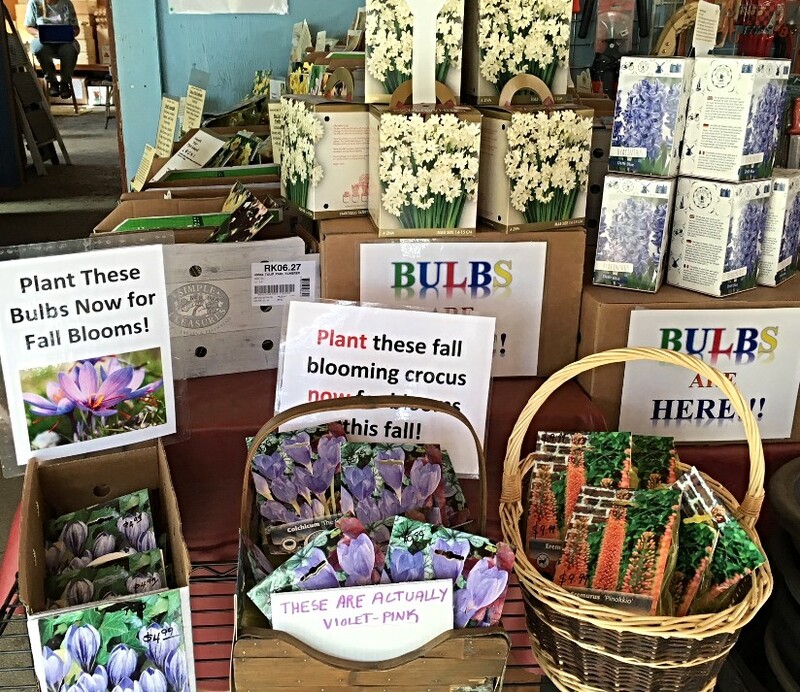 Bulbs, Indoor – 30% off! 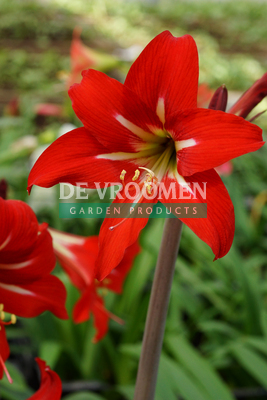 We have wonderful Amaryllis kits for ‘Minerva’, ‘Vera’, ‘Red Lion’, and ‘Mont Blanc’ varieties. 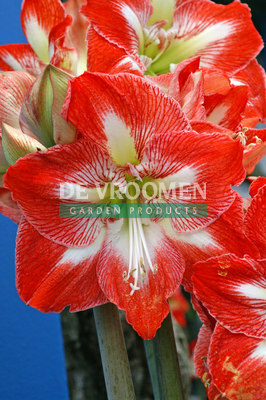 We also have Amaryllis sonatini ‘Pink Rascal’ and ‘Balentino’ (not in kit) and Paperwhites (in box kit with pot). These beauties will brighten your holiday decor and make for a lovely hostess gift! All are 30% off their original price! This year we offer tropical succulent plants for easy indoor growing. Succulents are very sculptural plants, often with unusual coloring, structure and texture, and they thrive indoors with very little attention. And some of our succulents have valuable medicinal properties you can use in your home. We can give you details when you come in.